As you may have noticed, there have not been a lot of store posts lately. 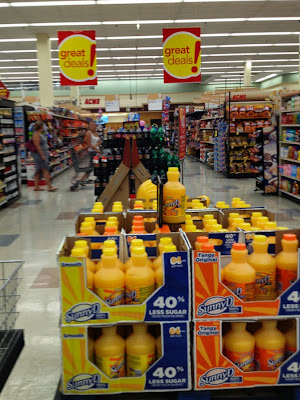 This trend will unfortunately continue this week. I hope to be back to the regular schedule starting next week. Posting will resume on Tuesday, November 4th. 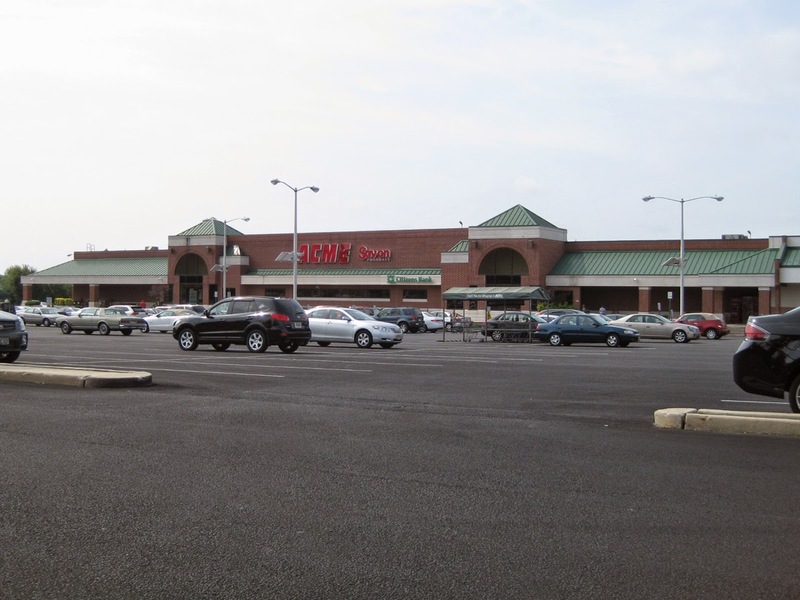 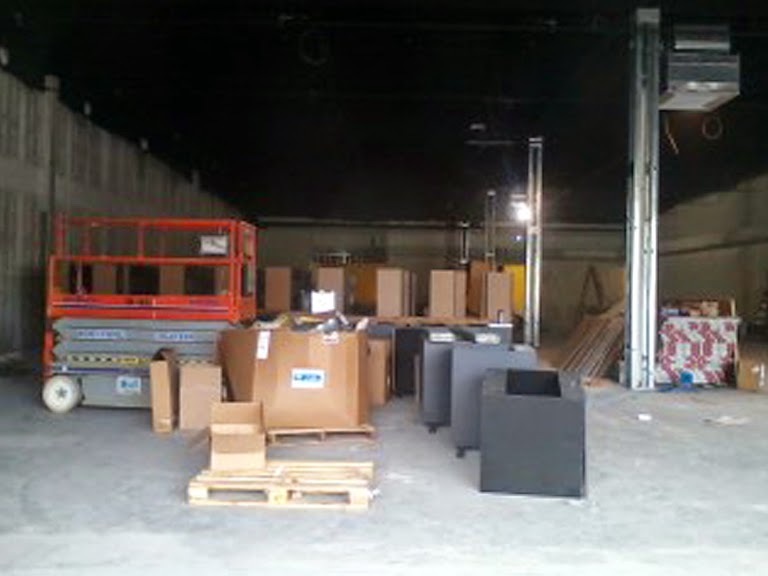 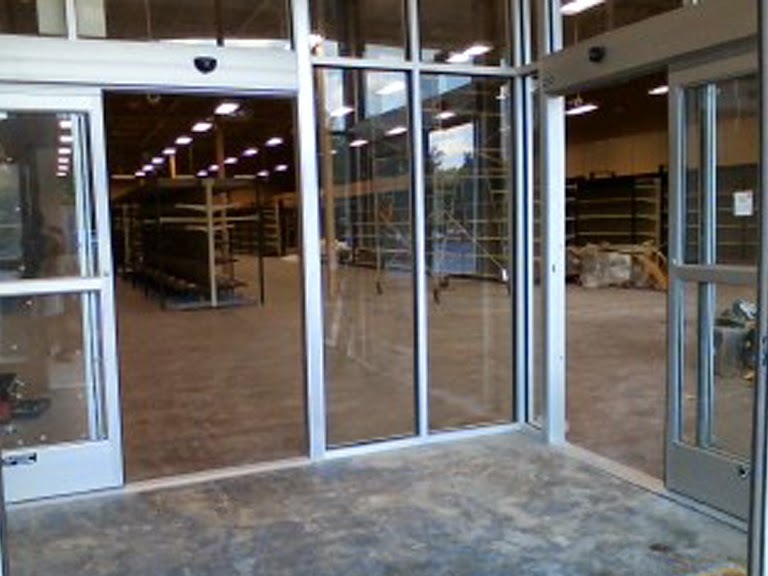 Photo courtesy of Charles T.
The former 90's-era Acme in Morrisville will be torn down to make way for new businesses. An article on Levittownnow.com details residents opposition to the project. 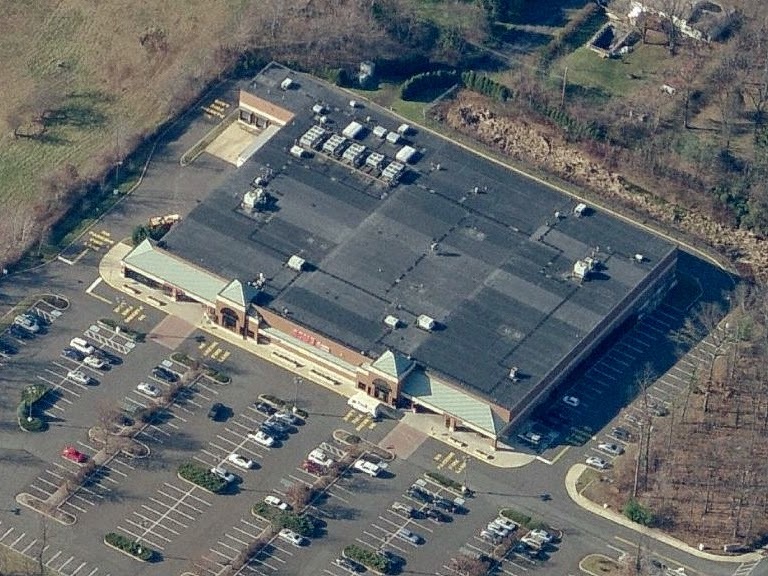 A sitemap is included showing the new layout of the property which includes a "super" Wawa. 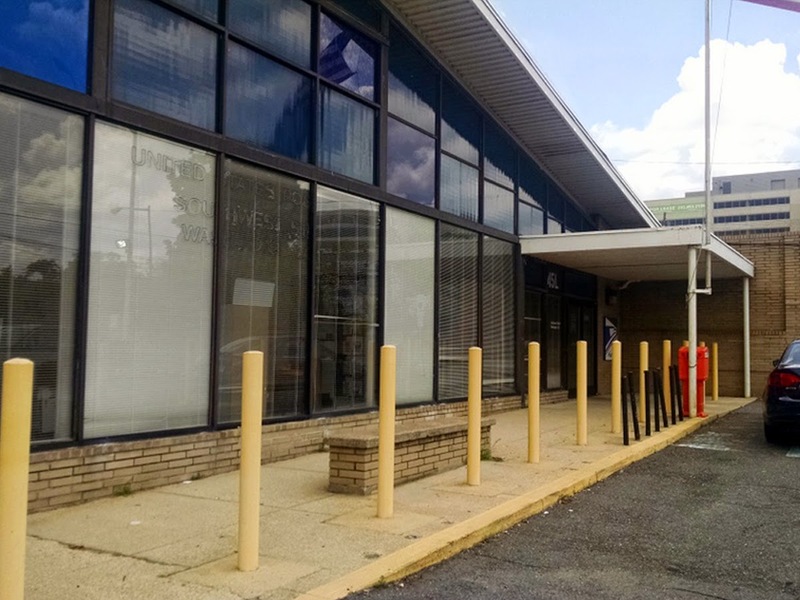 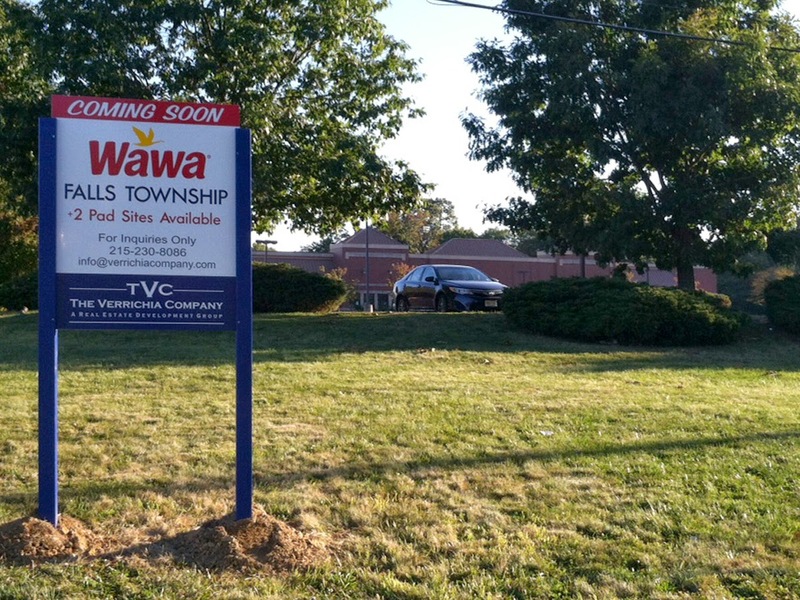 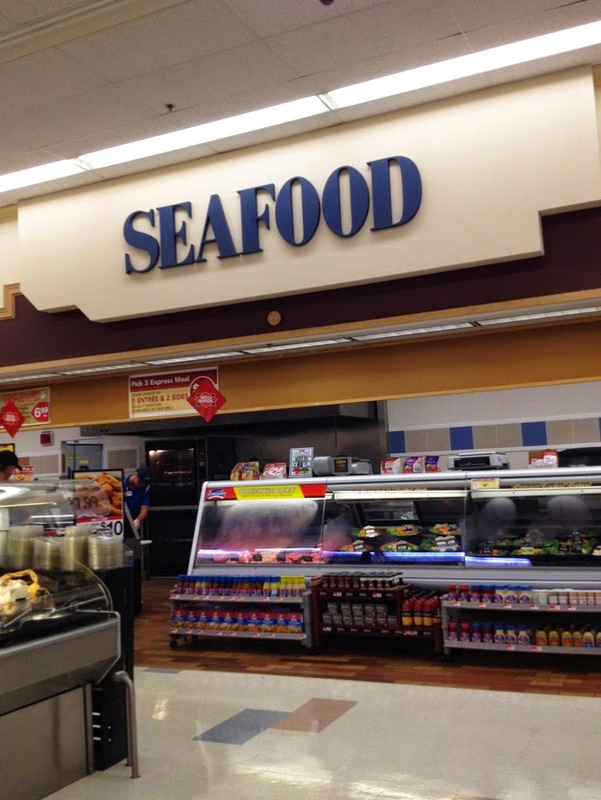 Set to join Wawa is A Rite Aid and an unnamed fast food restaurant. 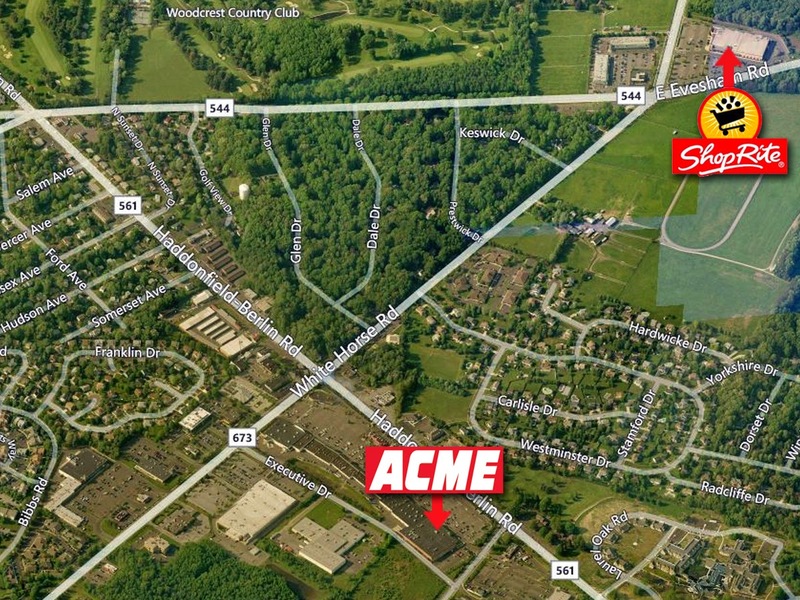 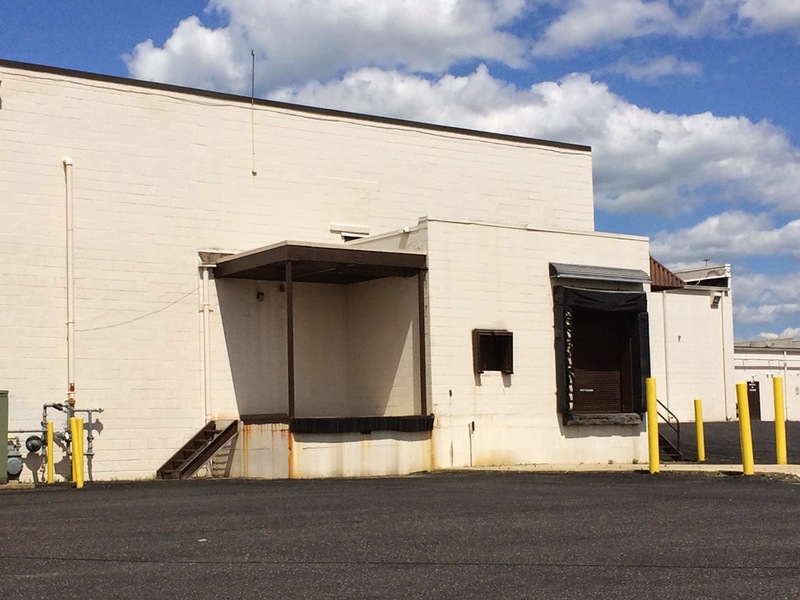 For full coverage of the former Morrisville Acme, please click here. 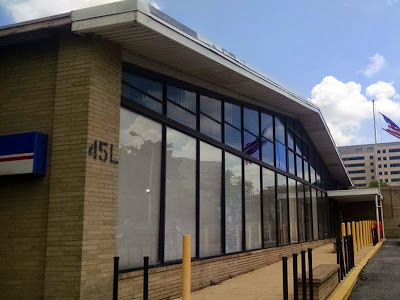 Erica has returned once again to the former Mantua Acme to photograph its transformation into a Wine Warehouse and Planet Fitness. This classic 33M Acme was located next to a Kmart, which continues to remain open. 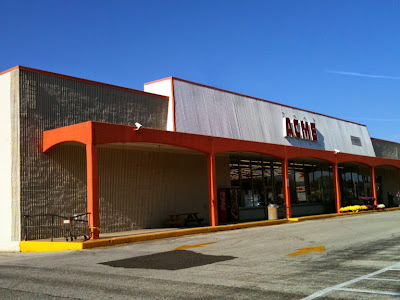 The Acme closed on February 28, 2013. Erica took photos back in 2013 when the building was abandoned. 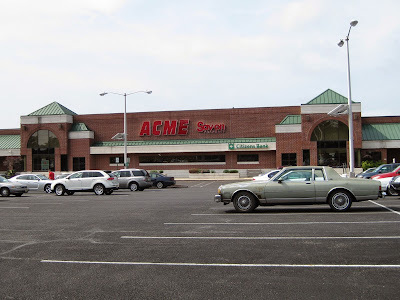 Acme had yet to clean out the interior. 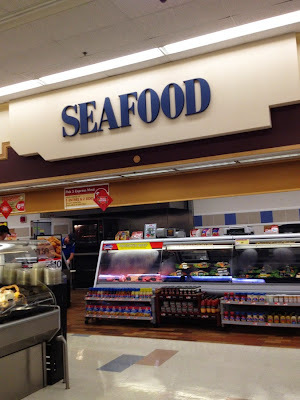 You can check out those pictures by clicking here. 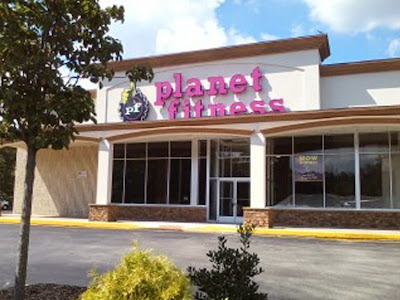 Planet Fitness' entrance is right where Acme emergency exit was located. 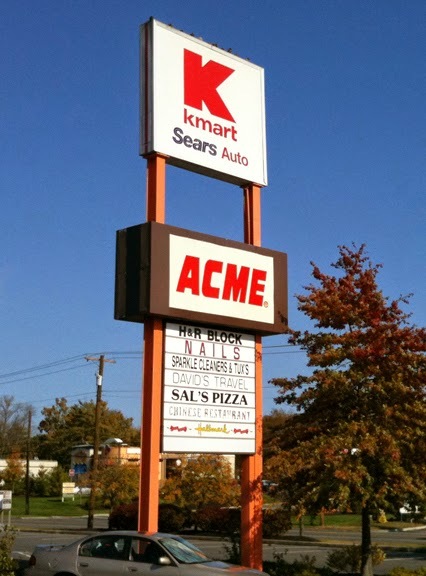 Scar left from Acme's cart corral. Looks like it could be a grocery store but there is absolutely nothing left from the Acme. 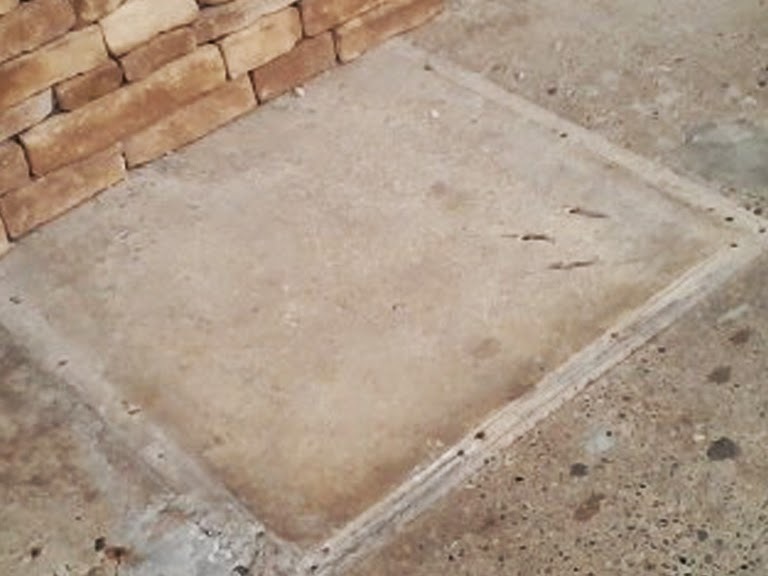 The ghosts of the magic carpets will live on here for decades to come! 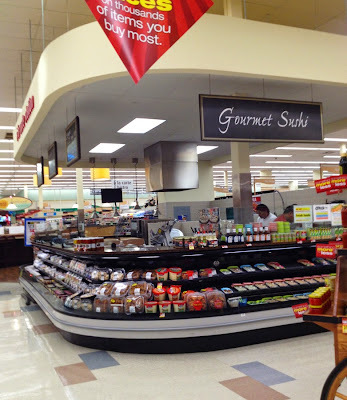 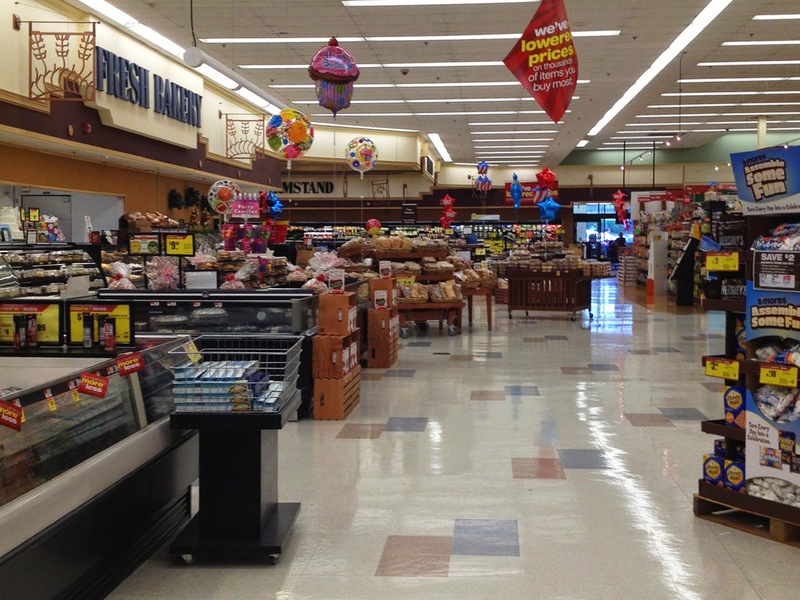 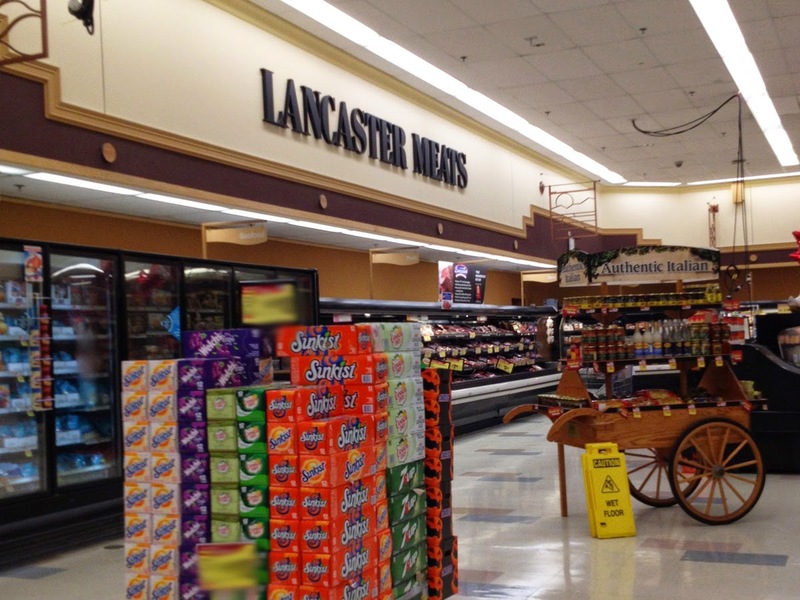 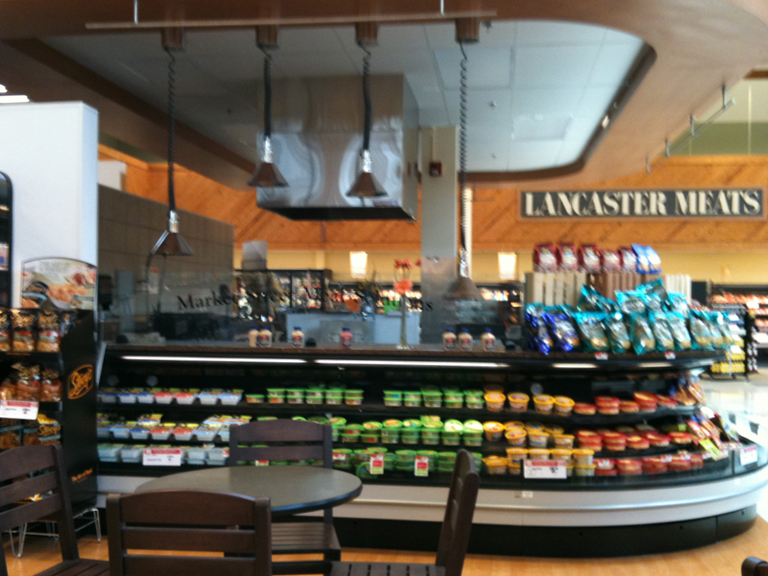 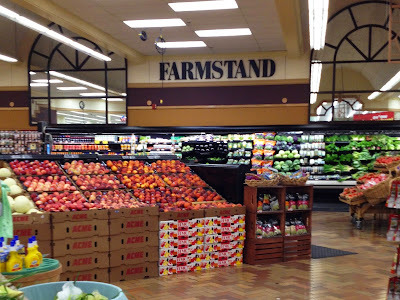 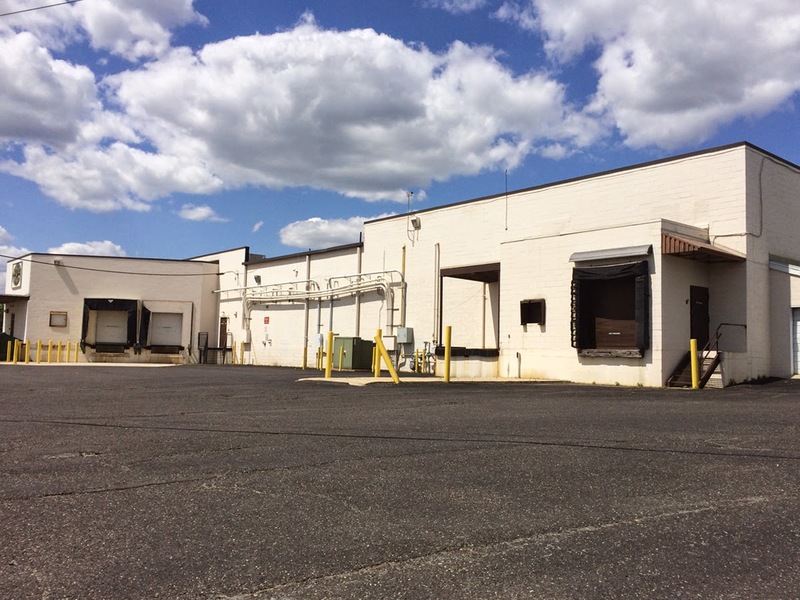 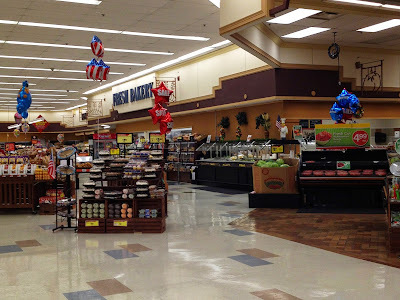 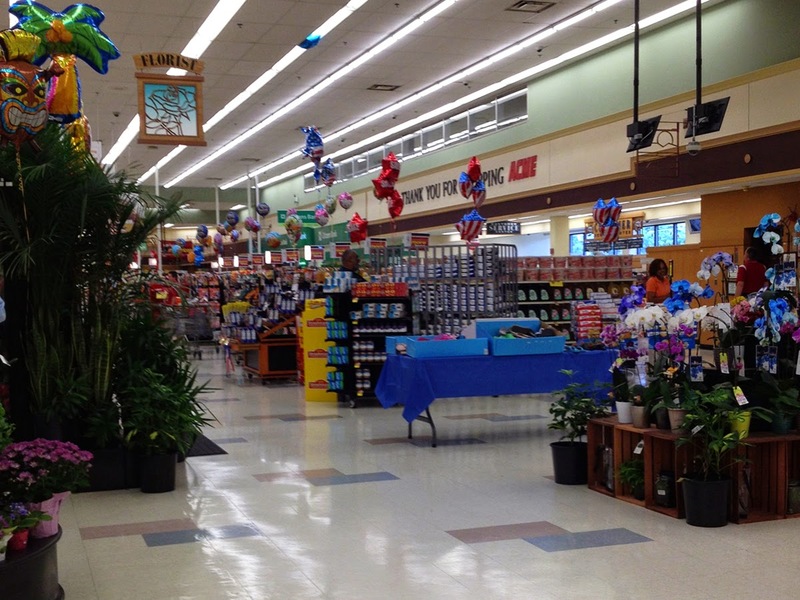 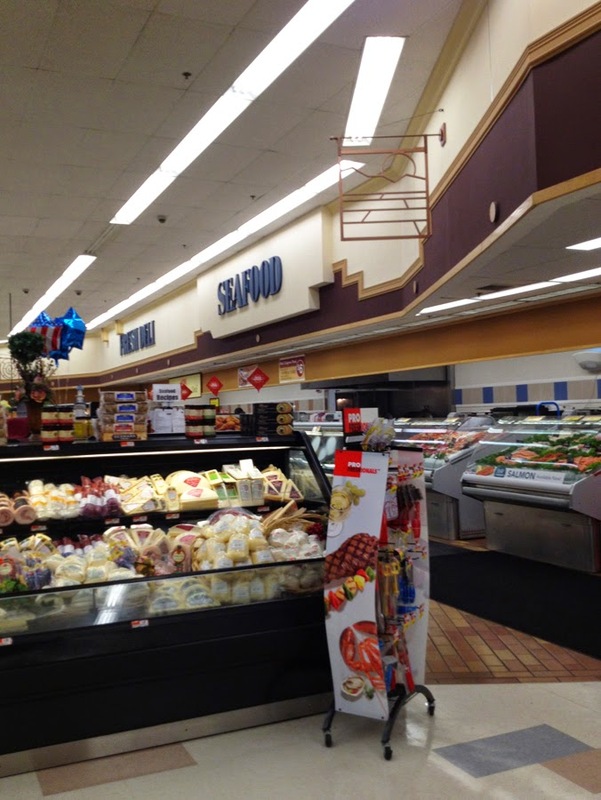 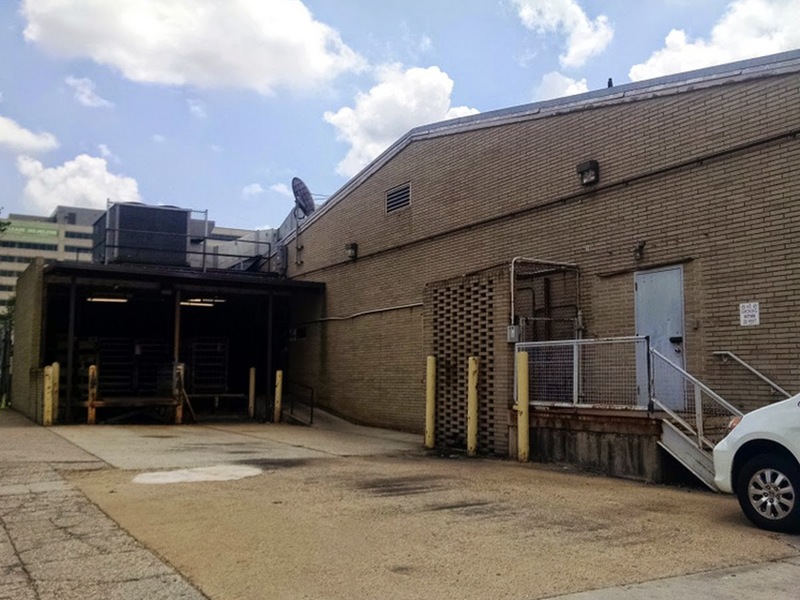 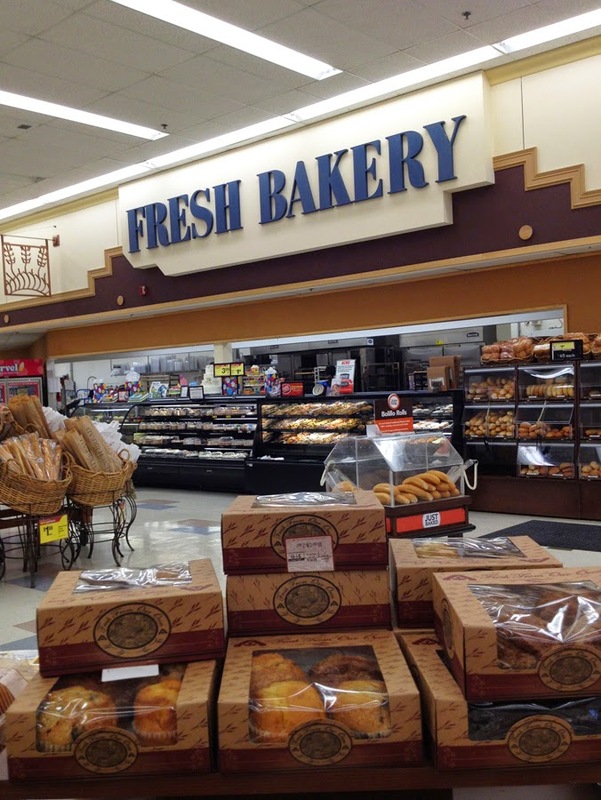 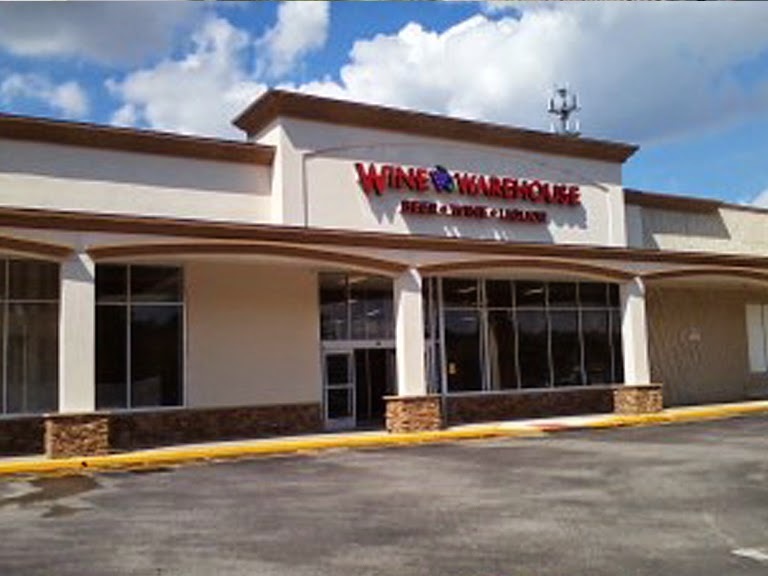 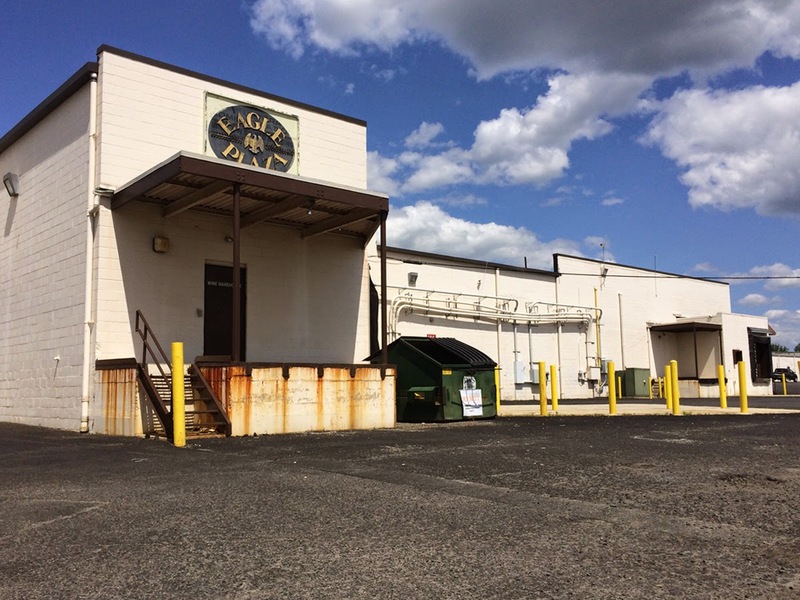 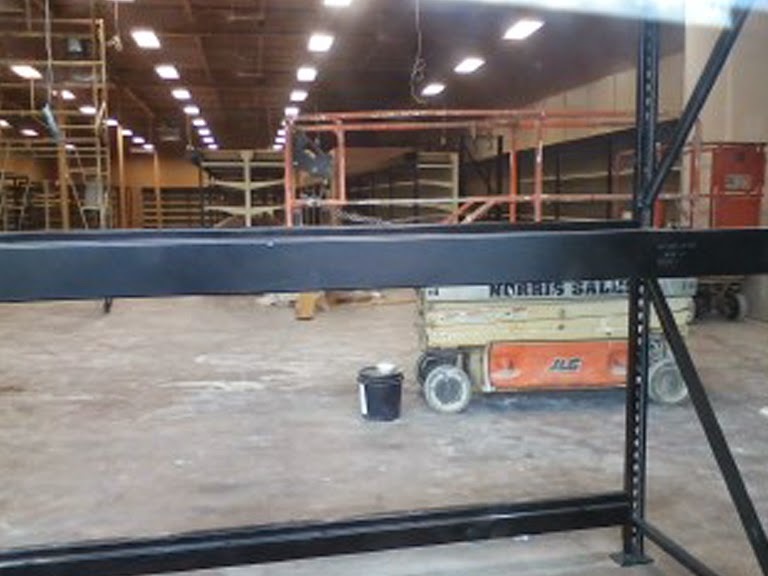 For a look at the full coverage of the Mantua Acme, please click here. 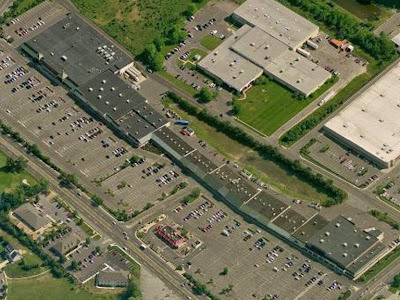 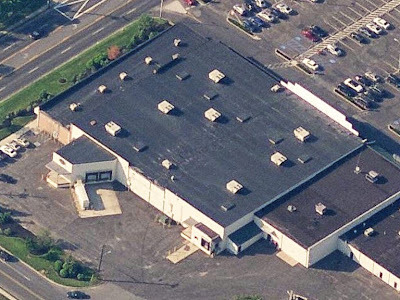 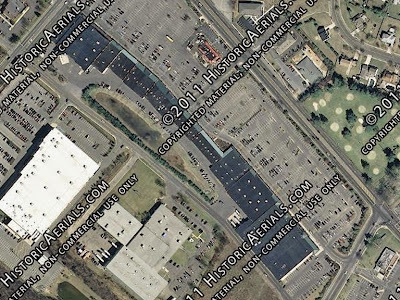 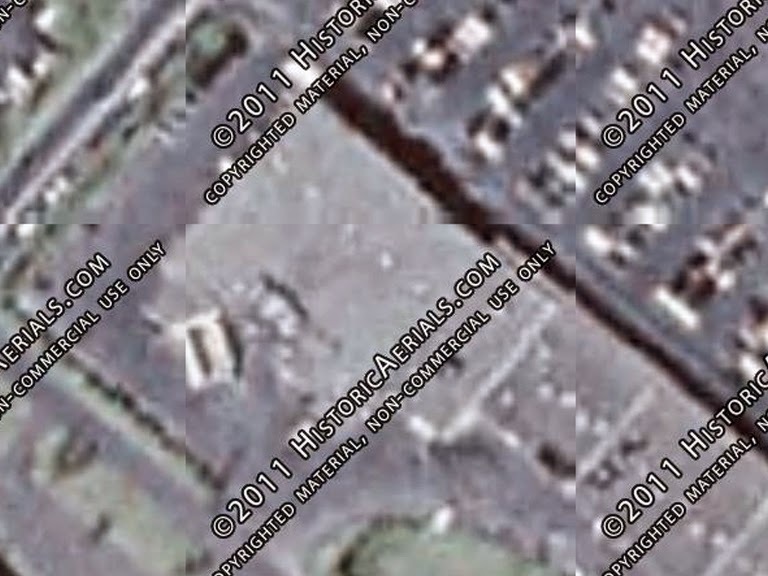 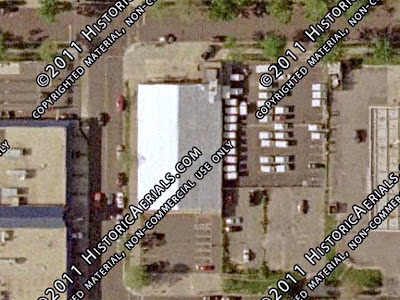 Aerial images of both stores are included below. Neither store currently appears on the blog. 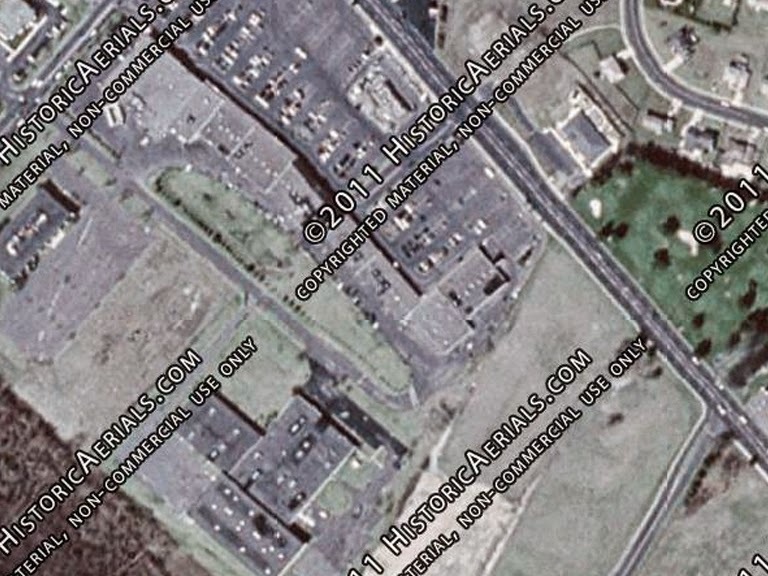 I was quite sure I had Warminster photographed but unfortunately I'm not finding any pictures. I have been to the store several times, and will return prior to it closing. I have never been to New Britain, which is often referred to as Chalfont. 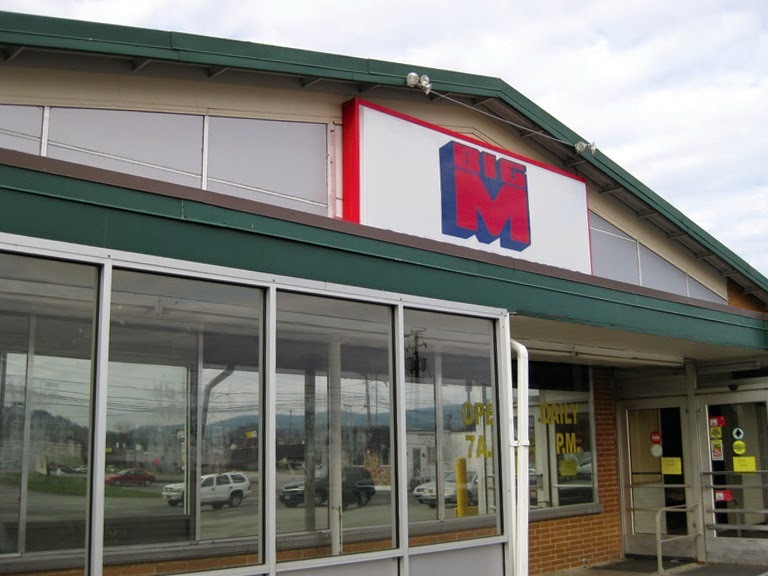 Both stores are set to close in November. Some comments have come in the last day about the news but have not been posted. 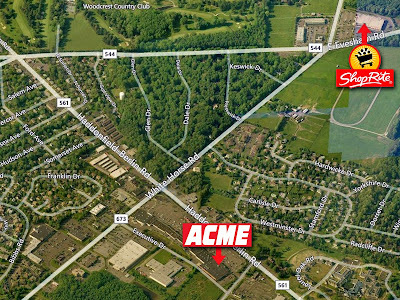 Acme confirmed the news on their Facebook page just hours ago so it's safe for Acme Style to now pass on the unfortunate news. A classic 90's superstore location. 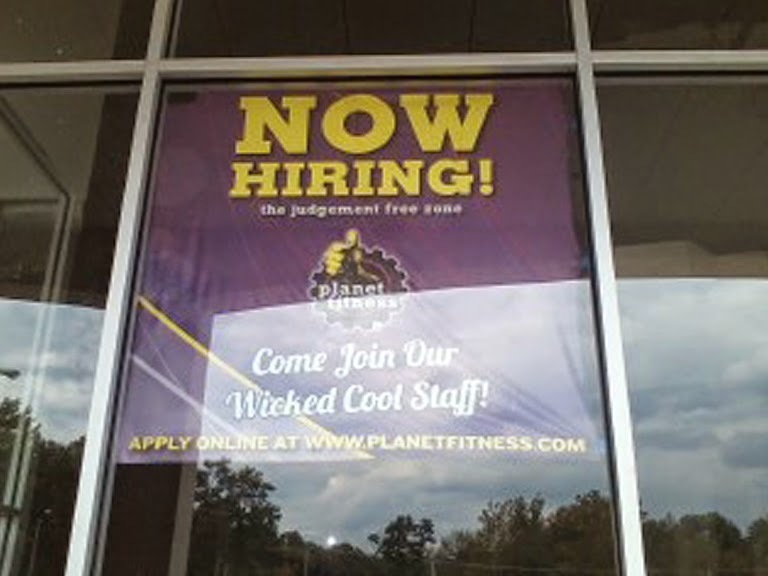 I'm not terribly familiar with the competition in the area. 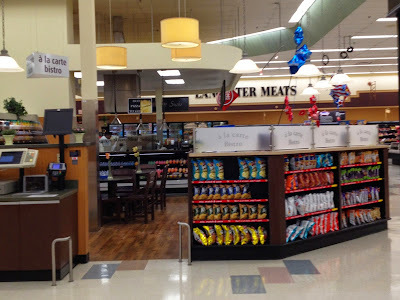 A former Genuardi's very close by is now a Giant. 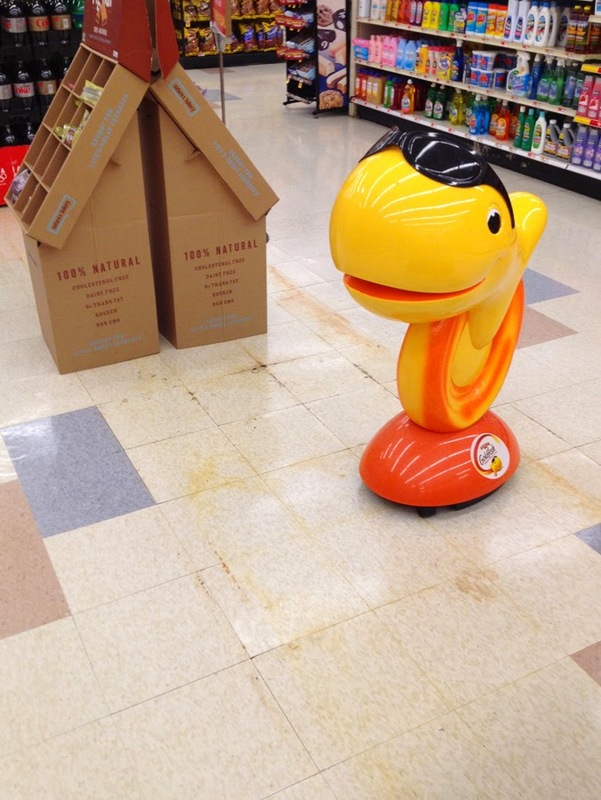 I've never gotten word that this store was in danger so this one came as a surprise. Did the relatively new Giant run Acme into the ground? 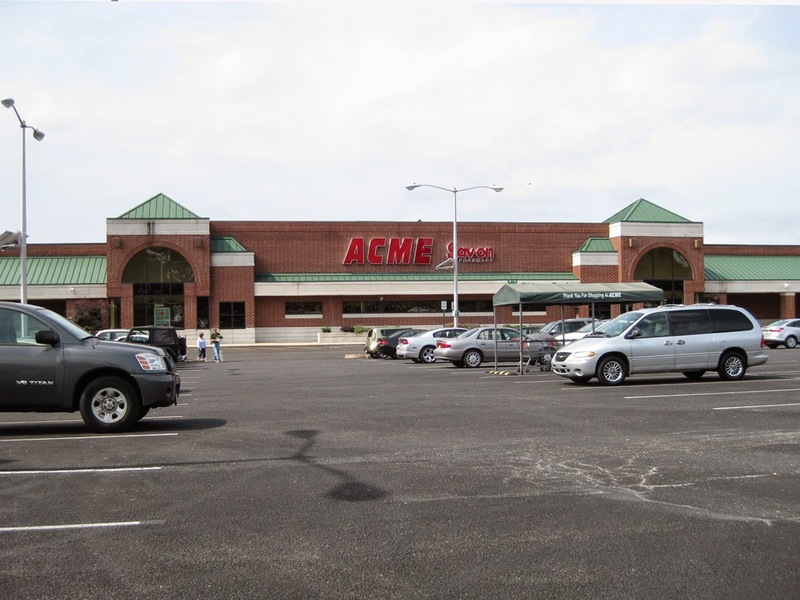 All indications are the new owners are have significant success in turning around Acme's fortunes but apparently there are locations that are just too far gone. 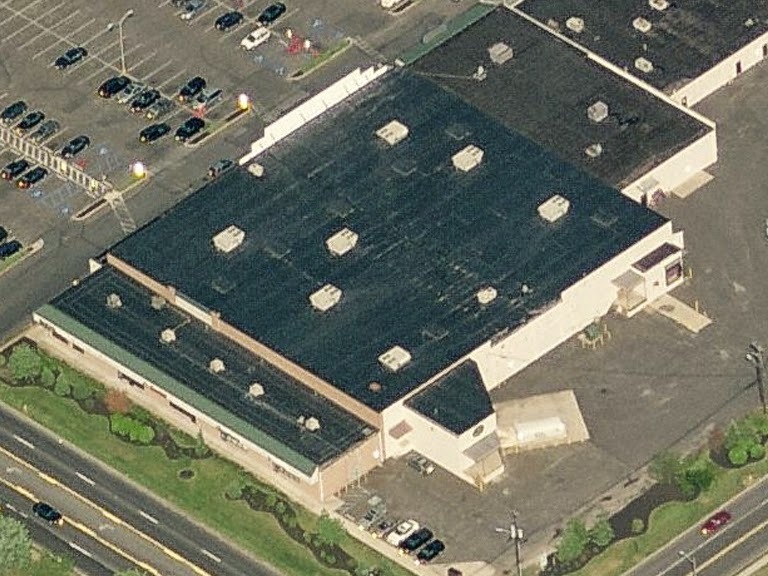 Not sure if this store was ever successful. 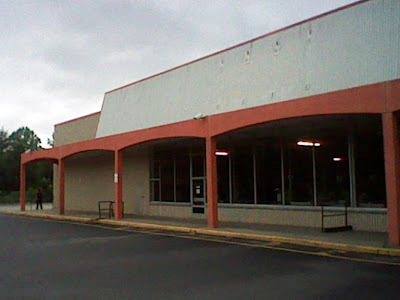 Opened sometime in the early 2000's. I have been told repeated for years that this store would be closing. Well, the day has finally arrived. Particularly sad to see such a new Acme dying off although Alberstons didn't have the best track record for picking new store locations during their first round of running the company. Former Acme – Washington D.C. 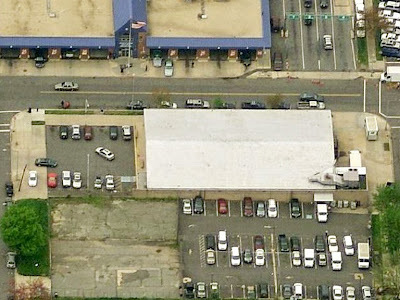 Location: 45 L St SW, Washington, D.C. 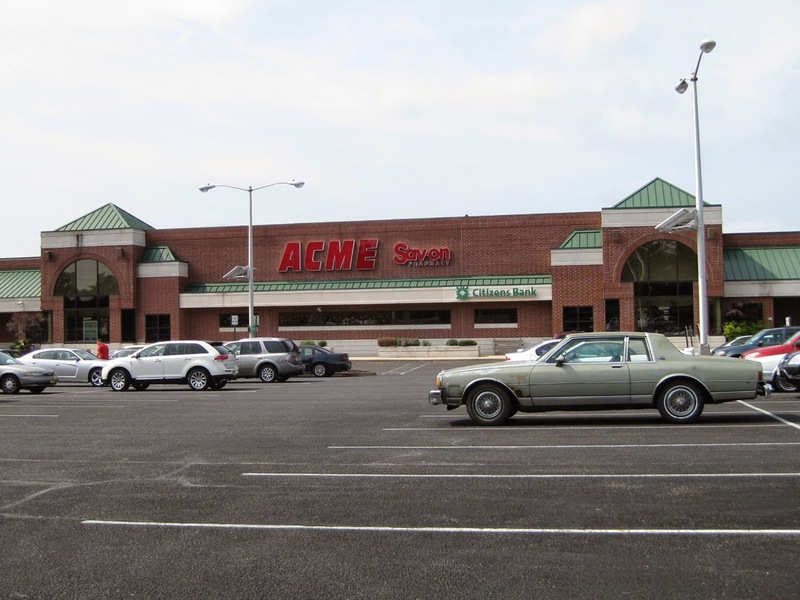 Here's what I remember: This Acme was a part of the redevelopment of Southwest Washington, DC. 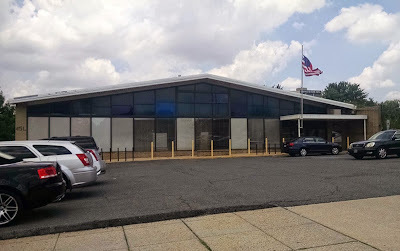 It was open for only about a year in the very early 1970s (1971-1972 I believe). The store just wasn't in a good location and the area wasn't (and still isn't) a great area of town. 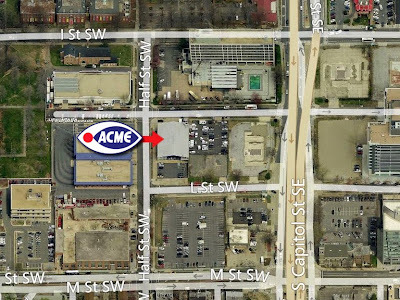 Acme pulled out of this store which I believe was the beginning of the end or the end of Acme in the District. 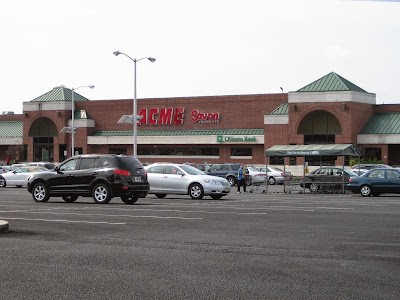 Acme had a number of smaller storefront locations around town prior to this store opening. This is the only A-Frame style store that was built in the District. 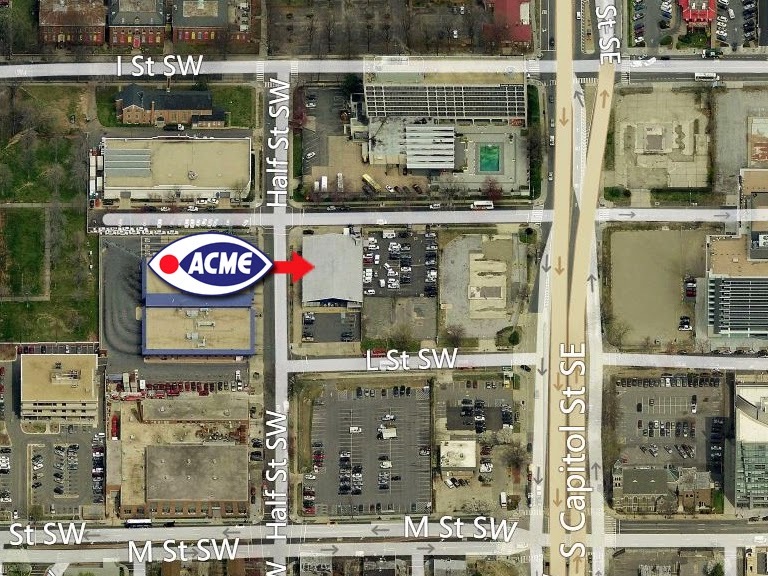 The address is 45 L Street SW Washington, DC 20024. Cross street is Half Street SW. 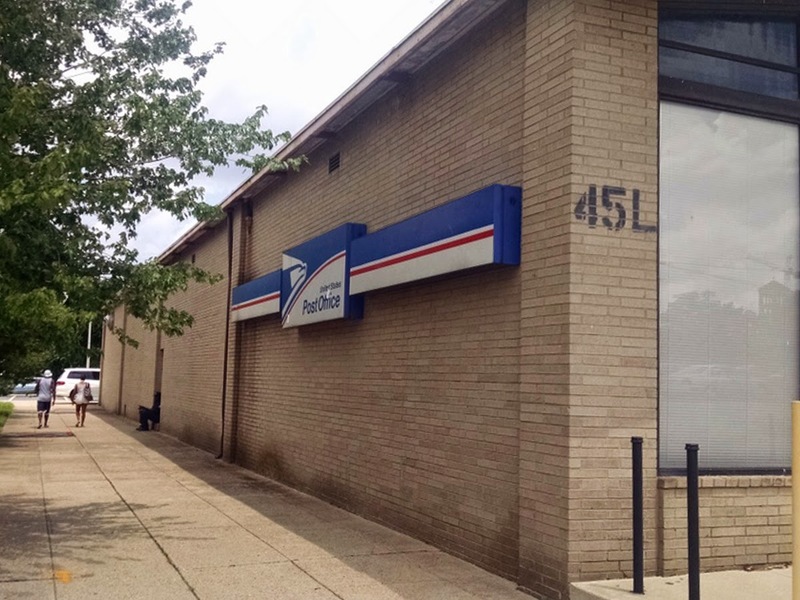 The building has been a US Post Office for many years. 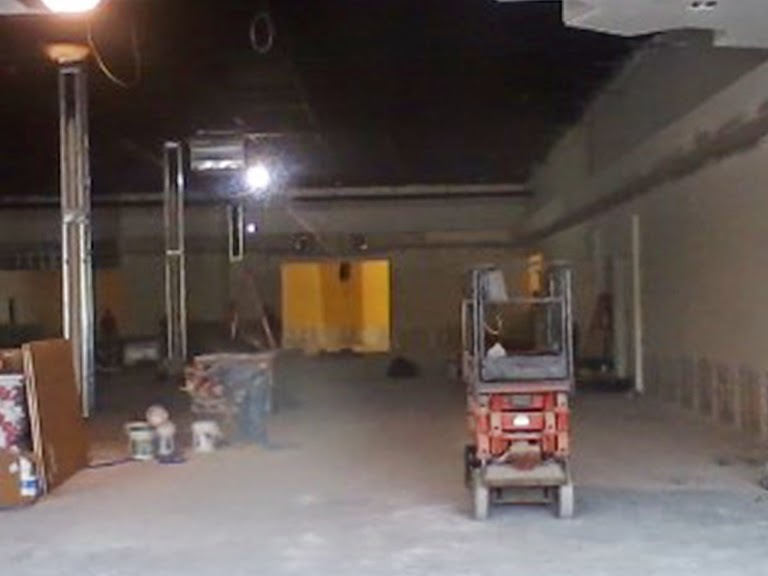 The interior has a drop ceiling in the customer areas. 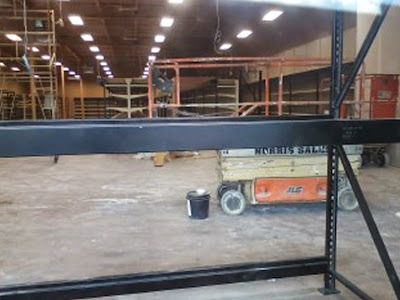 I couldn't get a clear view into the mail processing areas to see if that area still has the high ceiling open. 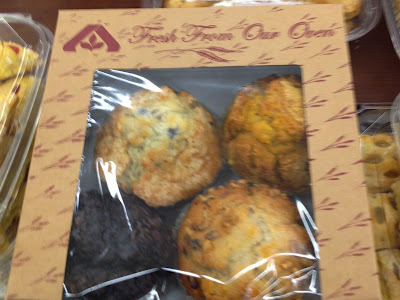 Sorry I don't have more pictures. 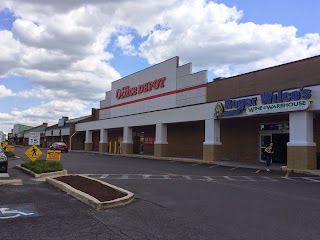 As I said this isn't the greatest part of town. 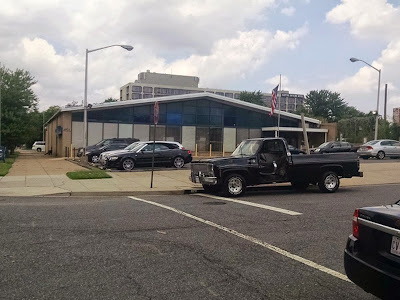 It is between the area around Nationals Stadium and the Southwest Waterfront. This area hasn't seen the improvements that those areas have seen. 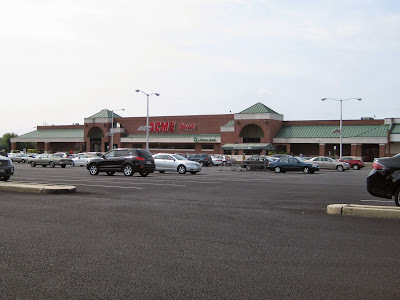 Incidentally Safeway was part of the same redevelopment that brought Acme in. 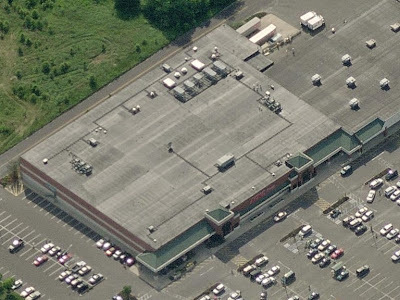 However Safeway located further west at 4th and M Streets SW which is now also at the entrance to the Waterfront Metro Station. Safeway ended up with the better location and remains there to this day. 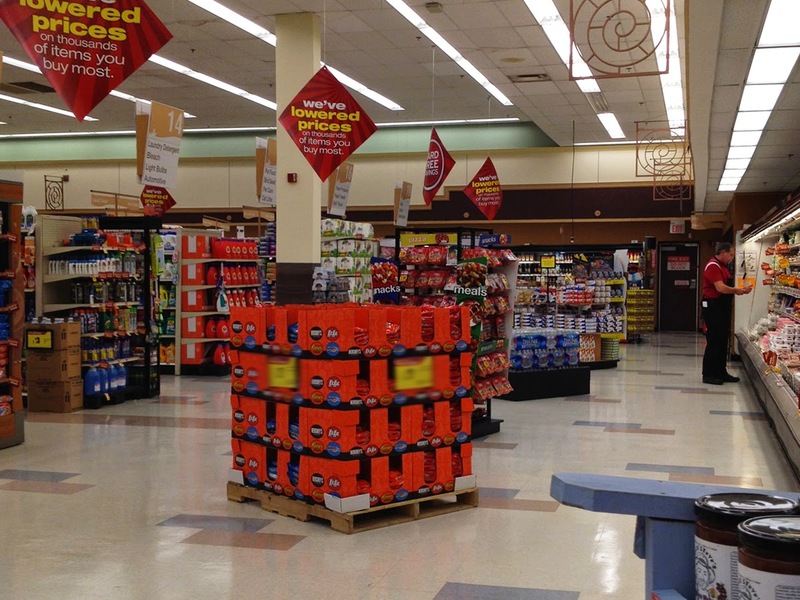 The Safeway has moved to a new location just behind its original spot. It is now located on the first floor of an eight story building. 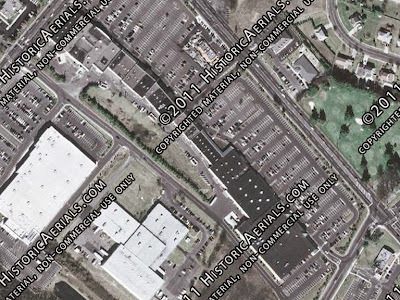 You can actually switch in progress by zooming in and out on the address on bing maps. 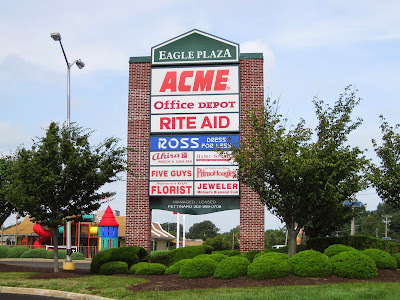 Rather unusual Acme here. 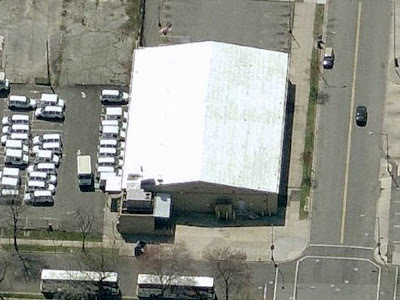 Very small. 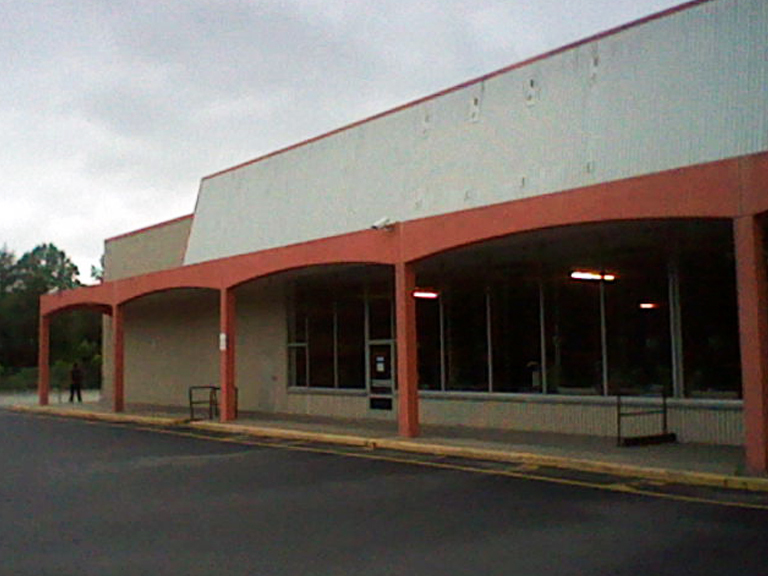 The front windows extend across the front of there building indicating there is no back room space running along either side. 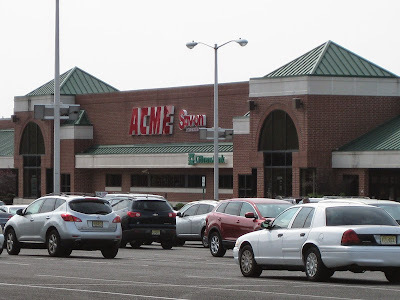 Doesn't looking anything like an Acme in the back. Since the building is not very wide, the pitch doesn't go up high enough to allow for a second floor. 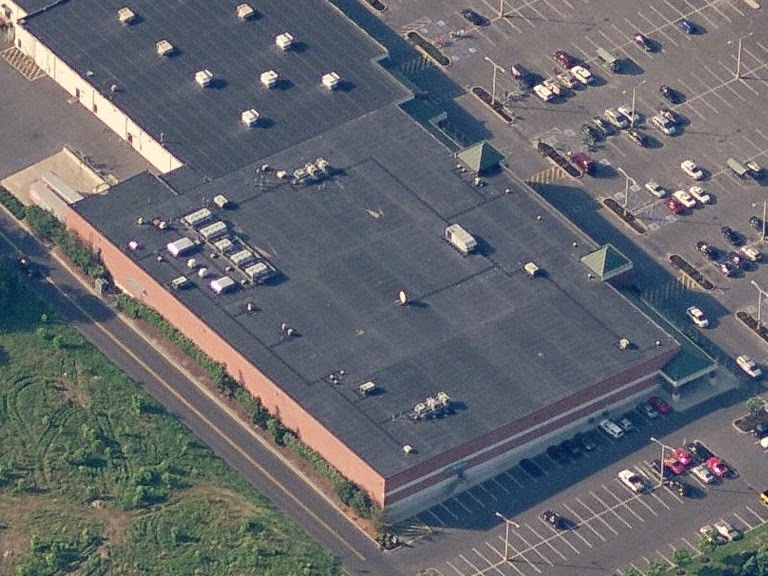 None of the usual scars along the back either. 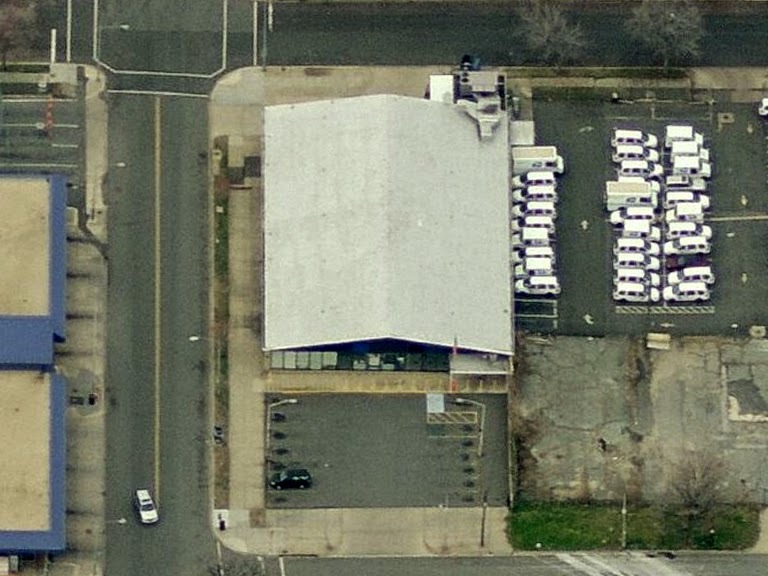 We can see that the area where the white door is located used to be wider. 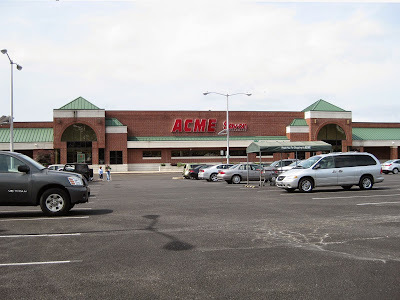 The delivery bays on the left were probably original to to the Acme. 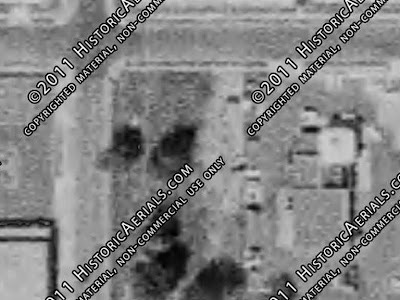 Unfortunately it can't be confirmed in the historic images. The two stores are very similar in design and size although Hallstead did have a large addition to the left side which just about doubled the size of the store. Labels: Former Acme, Model: Pitched-roof, Washington D.C.
Down to the final four in New Jersey! 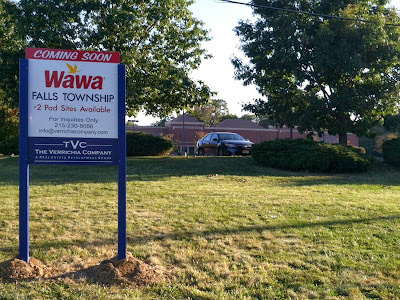 Only three left to go after our stop here in Voorhees. This location is the very last 90's stores in the state to be covered on the blog. 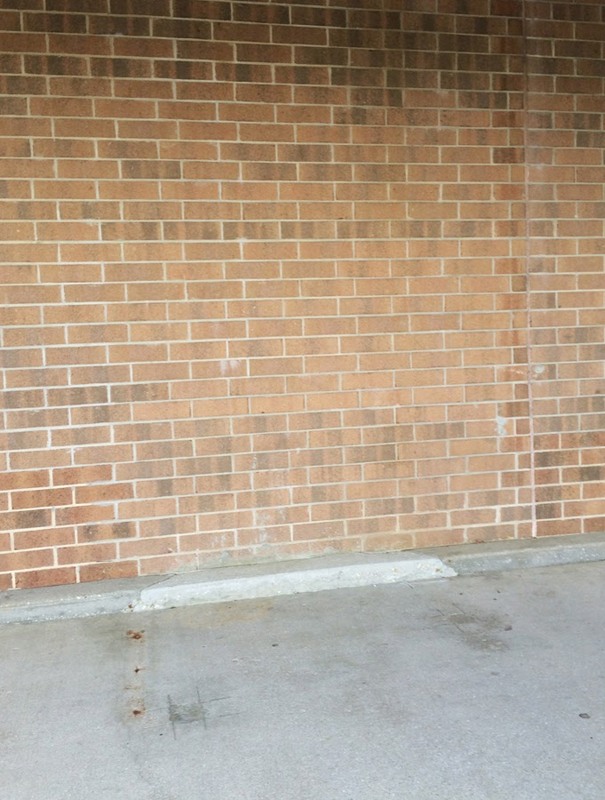 Personally, I think this is the best looking model used during the 90's. 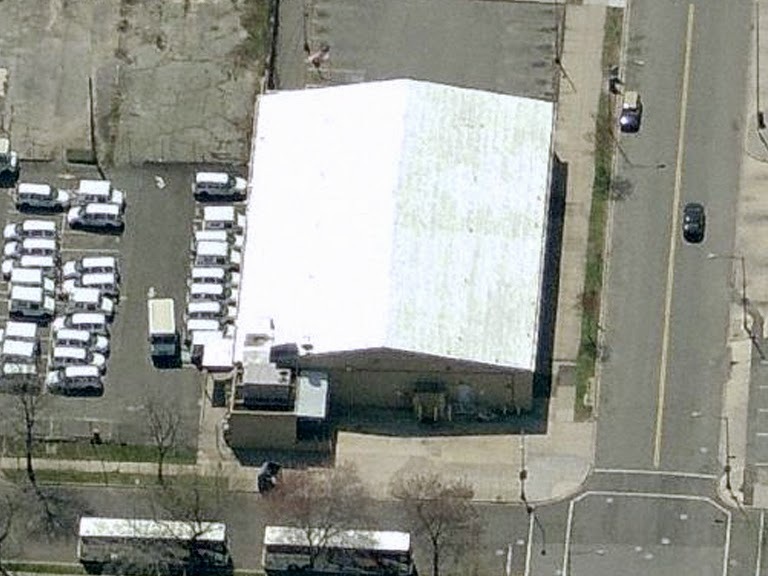 Much more attractive than the more often seen "fortress" model. The exterior of Voorhees is very similar to Acmes in Runnemede, Sewell and Yardville. 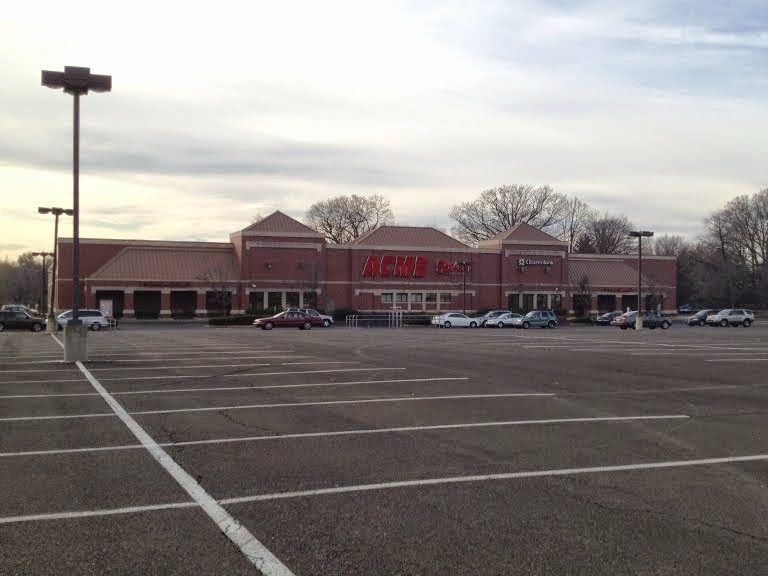 Acme's first store here was a 70's era store located at the opposite end of this shopping center. 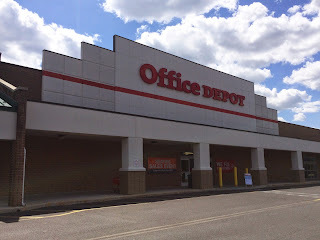 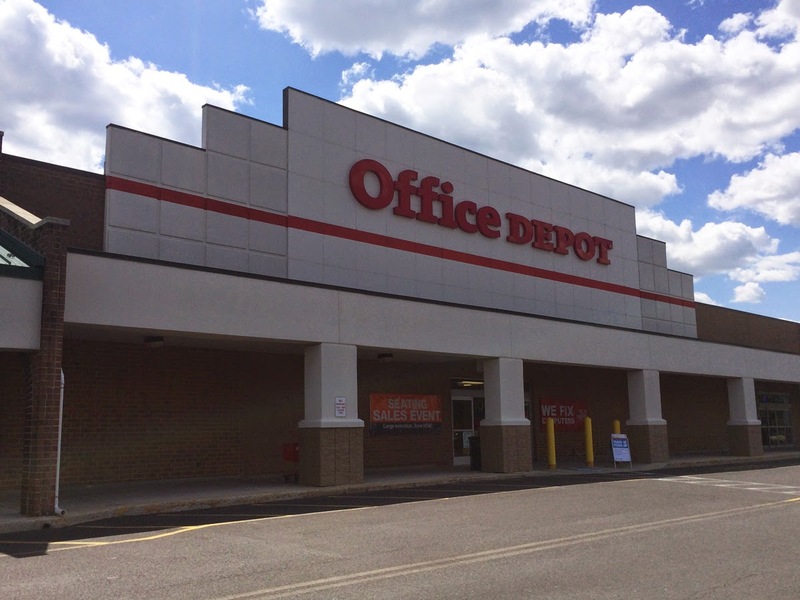 That building is now home to Office Depot. We'll have a closer look down below. 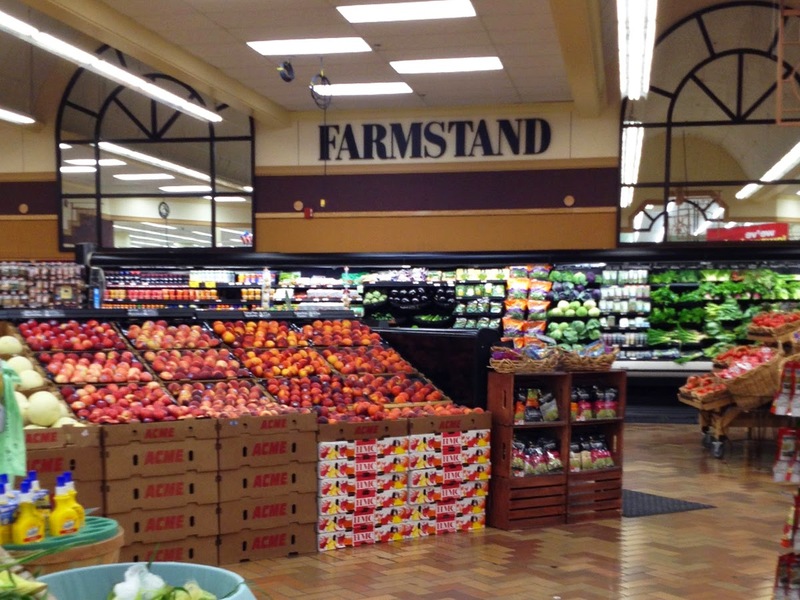 Real windows in Produce were not an option as the Acme is joined on this side to the store next door. 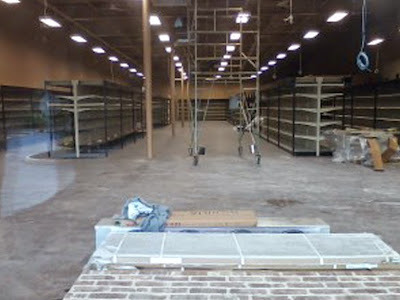 The salad bar now wraps around the corner of the Bakery. 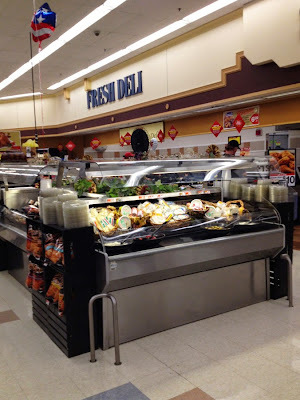 These were added to higher volume stores during the Alberstons Marketplace remodels, often being relocated from free-standing salad bars in the Produce department. 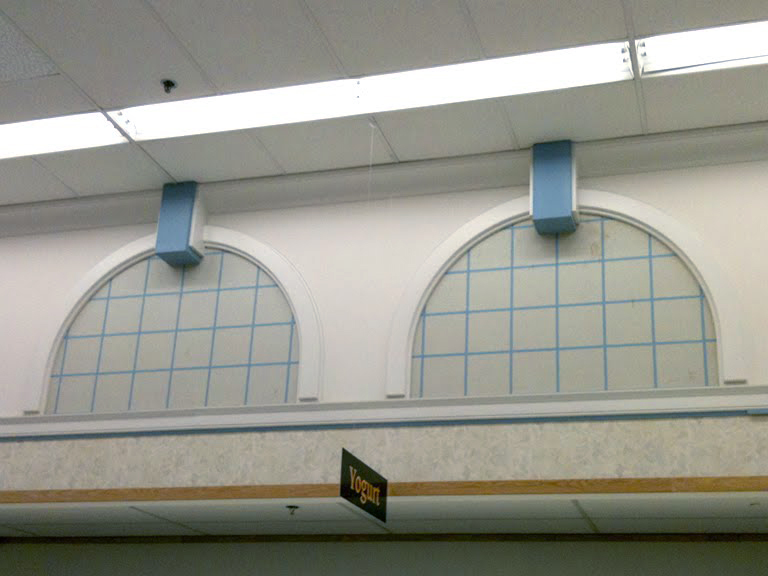 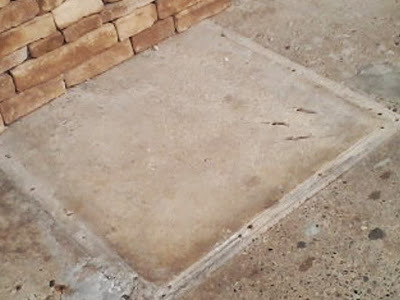 The 90's Bakery panel was left on the wall here. 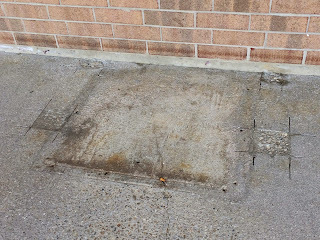 Runnemede has a similar treatment with the panel having been removed. You can take a look by clicking here. Alberstons' leaf spotted on the muffin boxes! 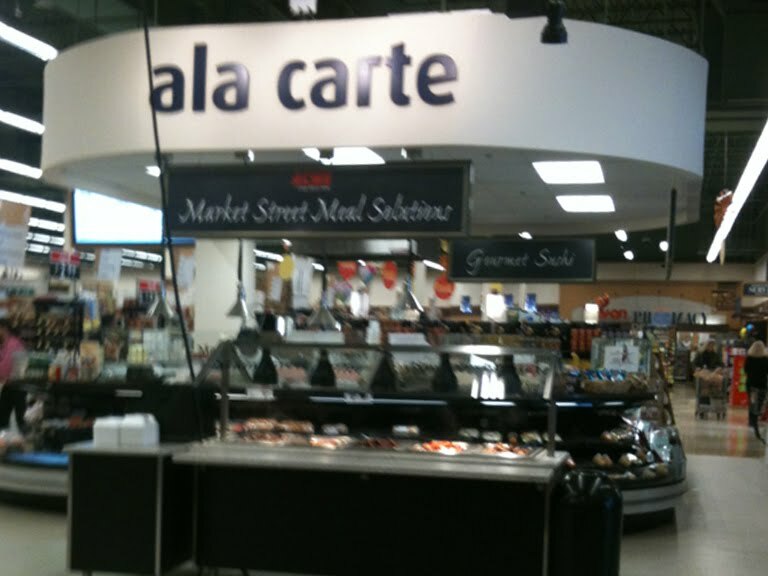 Ala Carte station with seating area has been added to the rear of the store. 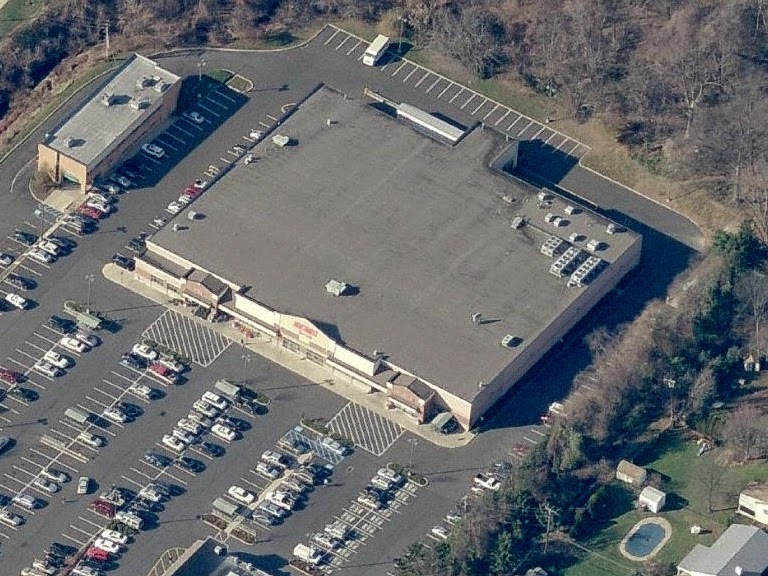 Cinnaminson had one as well in the very same spot. 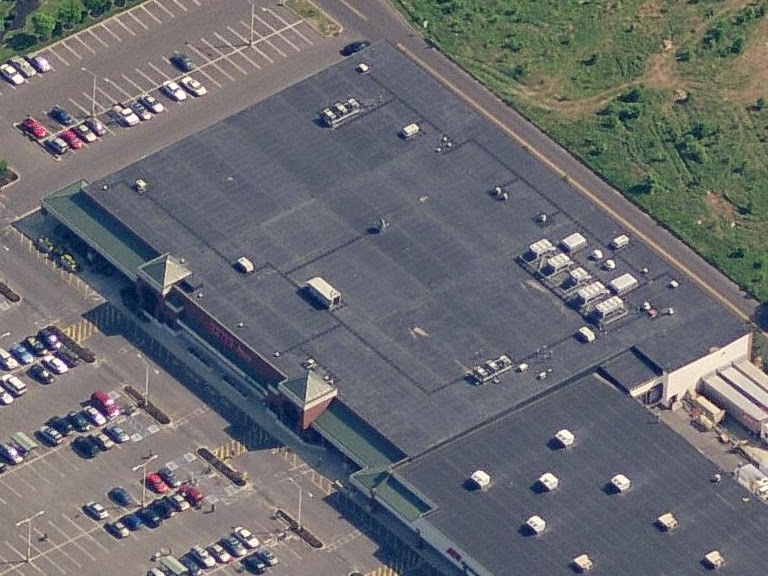 In Medford the station was located closer to the front of the store while in Randolph it was added right inside the entrance. 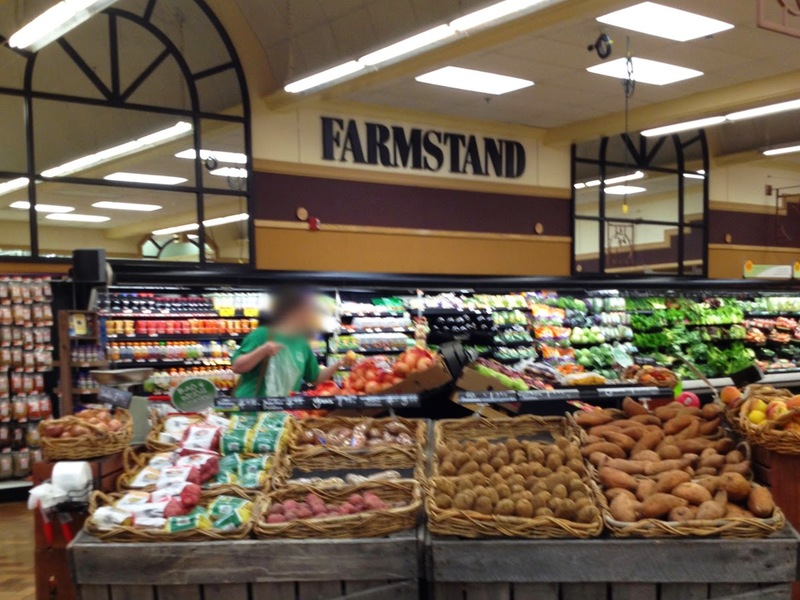 Nice upgrades in the Wild Harvest department! 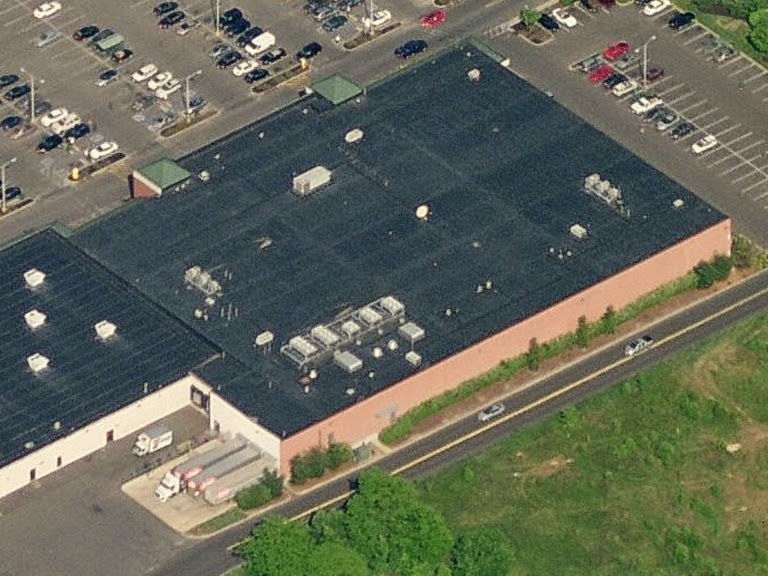 Both Medford and Cinnaminson had similar upgrades. 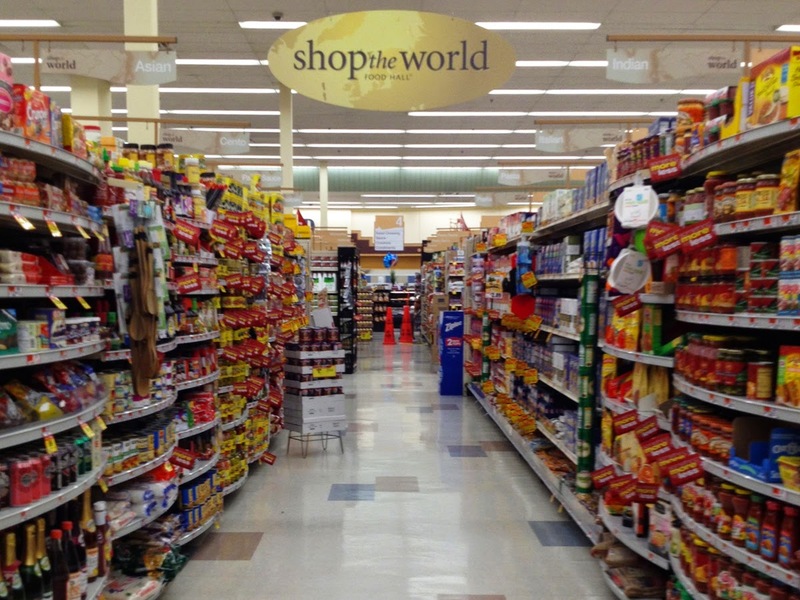 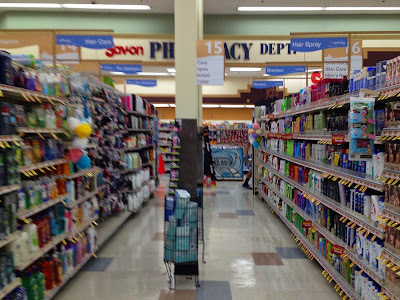 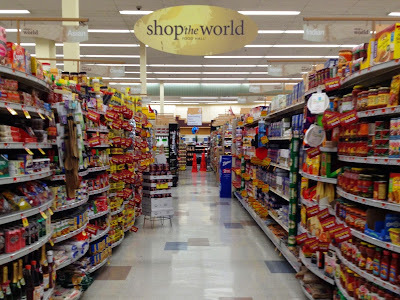 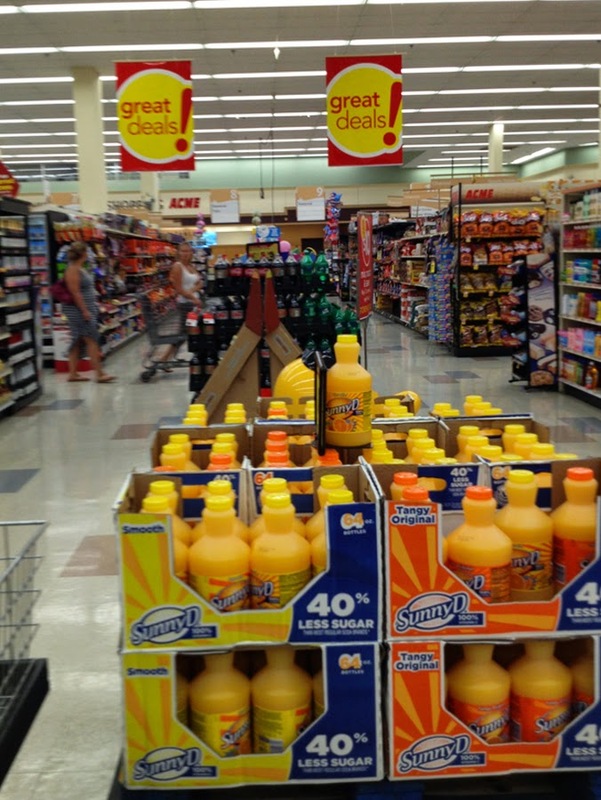 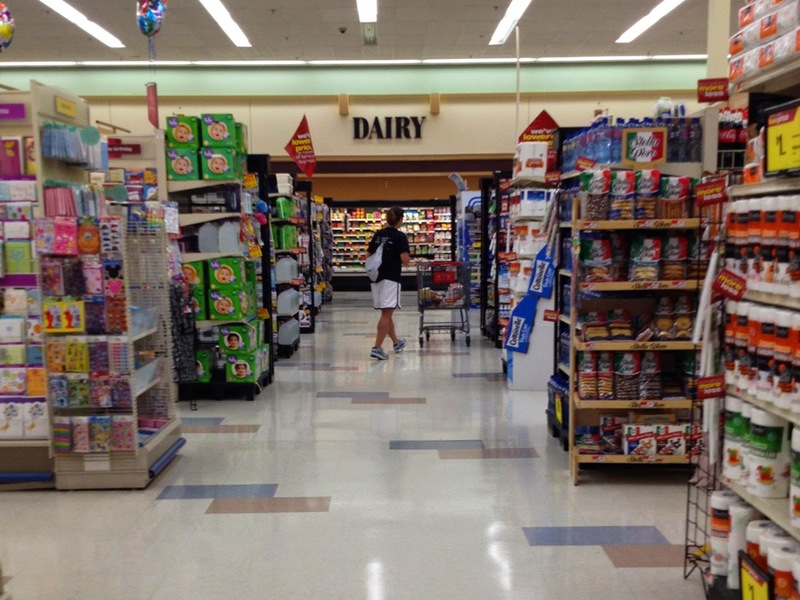 One thing we didn't see in Medford and Cinnaminson is a gigantic deals aisle. Great Deals may have come along after ShopRite took over a nearby Stop and Shop location in the mid 2000's. 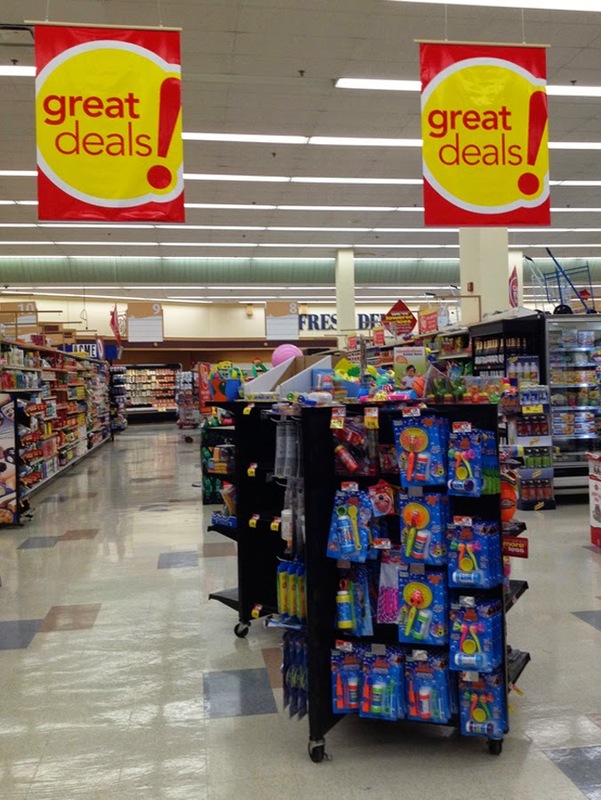 Scars left from the aisle that was removed to make room for the deals. The keystones remain from the 90's Red/White/Blue package. 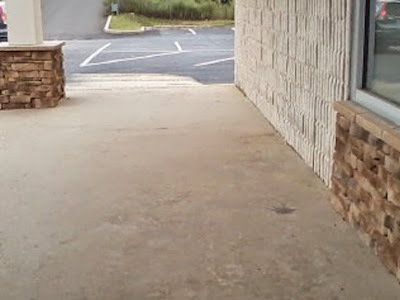 Apparently these buggers are really hard to take off of the walls. New cases back by the Deli for wings, olives and other fresh food offerings. Nicely stocked store! 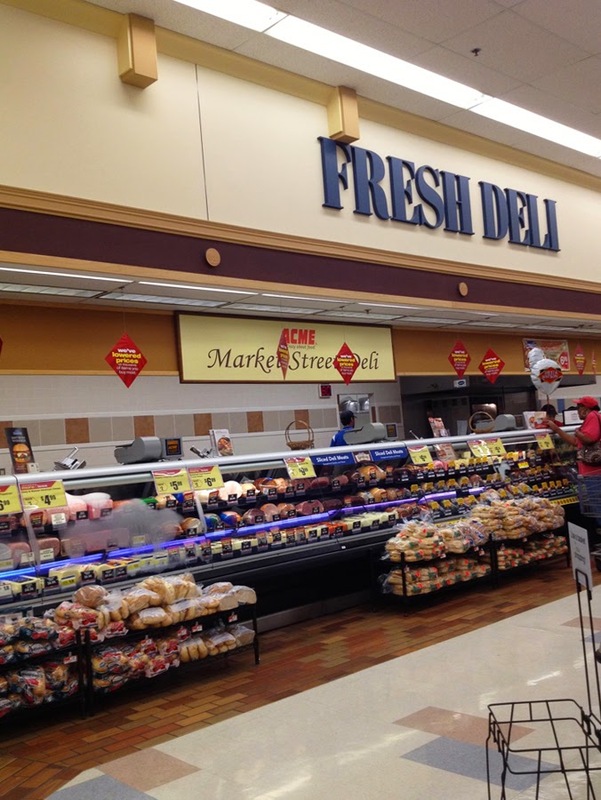 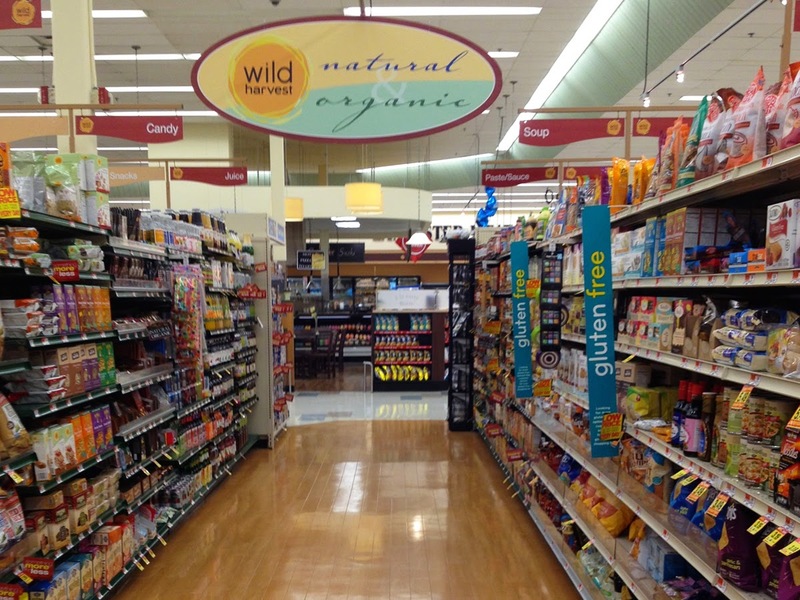 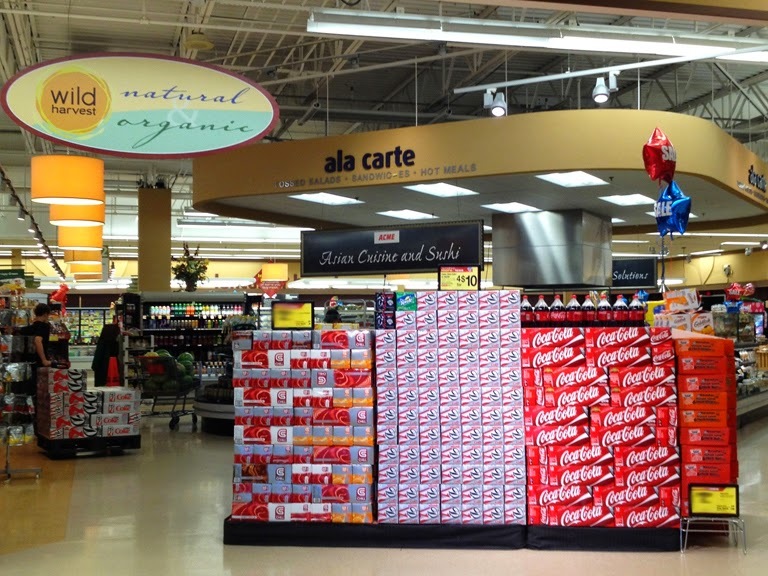 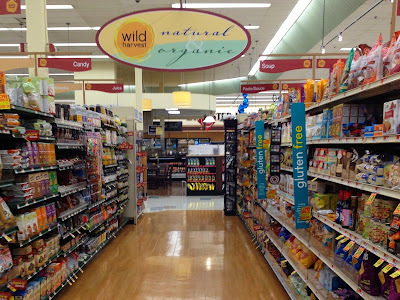 Premium Fresh and Healthy aisle signs throughout. 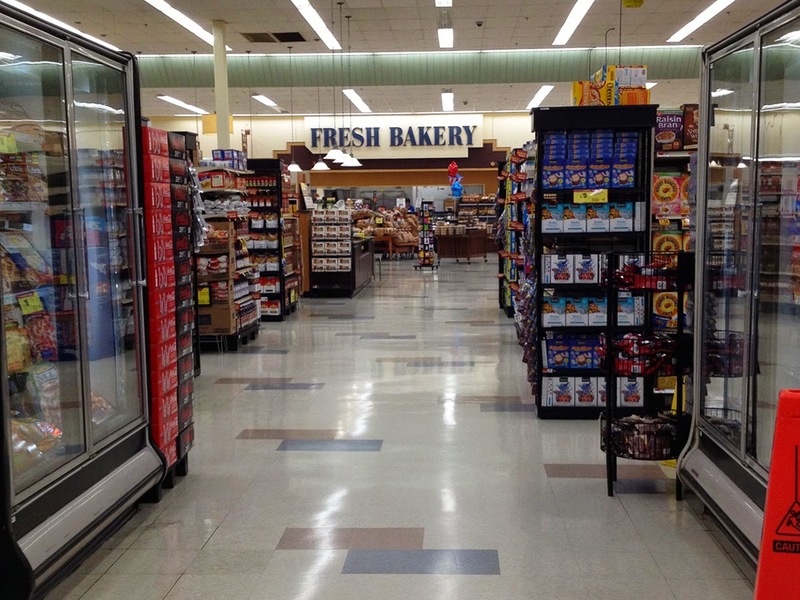 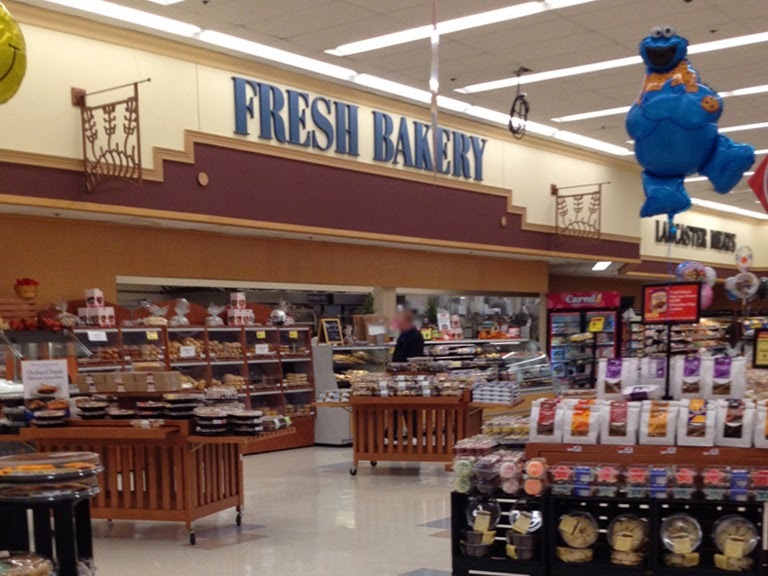 Center aisle of the store looking over toward the Bakery. 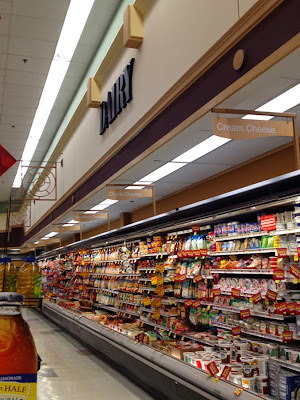 Looking over toward Dairy. 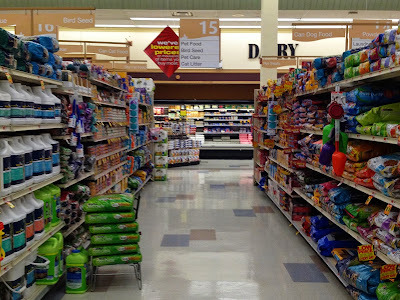 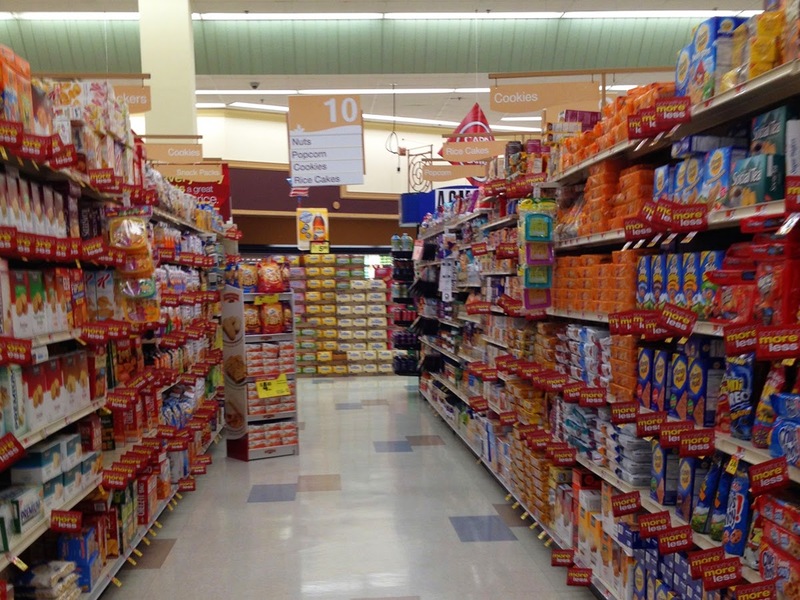 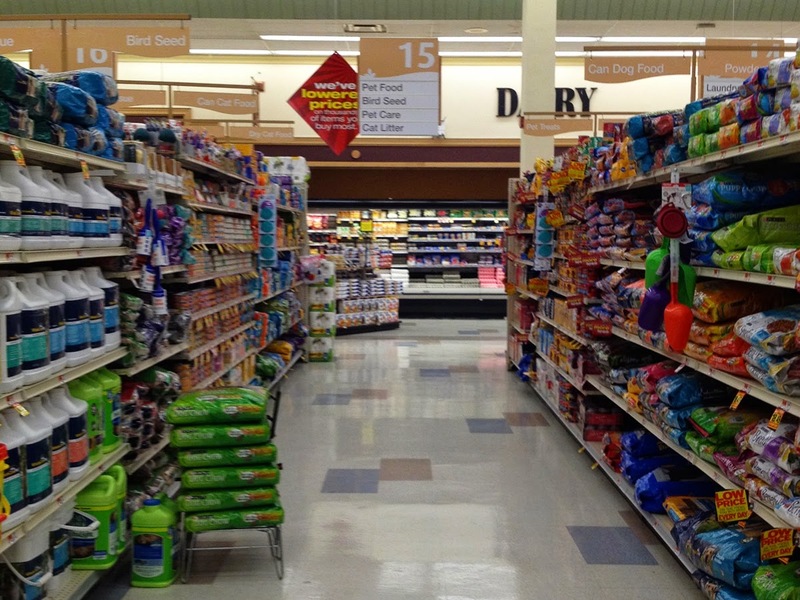 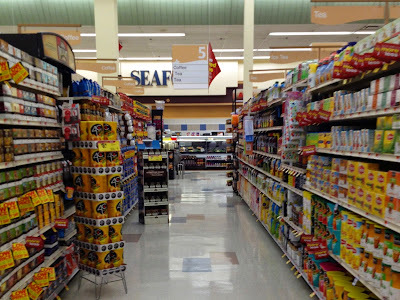 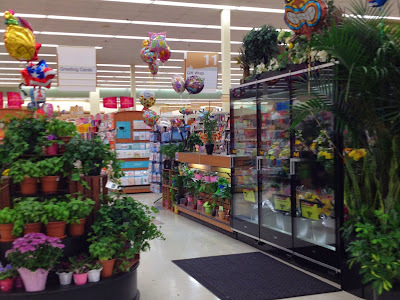 The center aisle can get a little junky looking with all sorts of random displays. 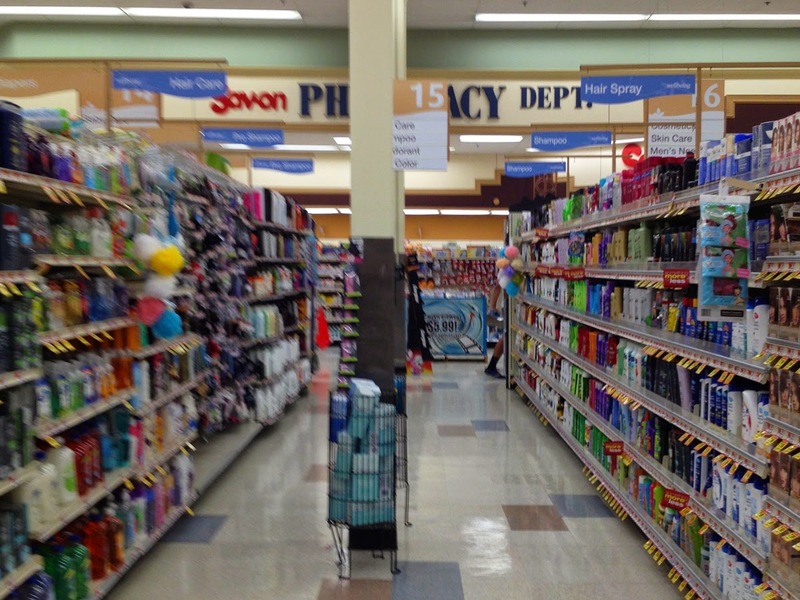 Voorhees keeps the aisle nicely streamlined. Floral has been moved from the corner of the store out into the aisles. 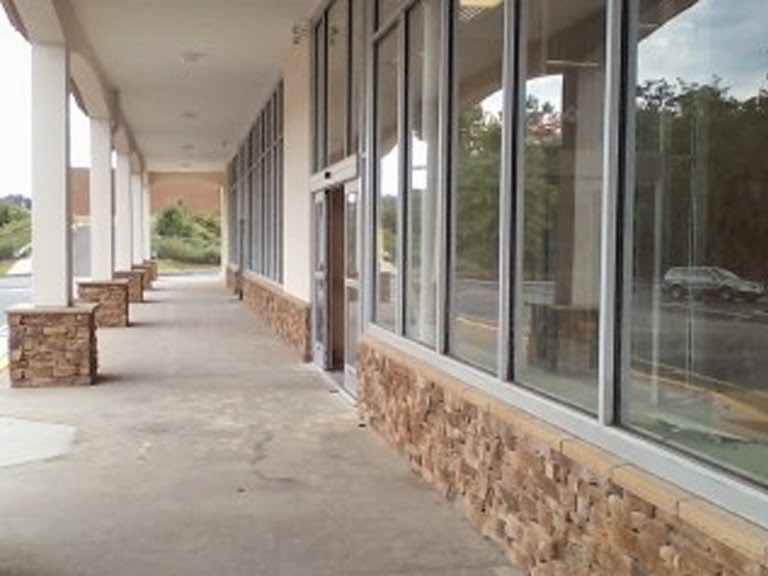 Pharmacy is located in the front corner of the store. In the 90's models, this corner was often used for Floral with the Pharmacy being located along the front wall. 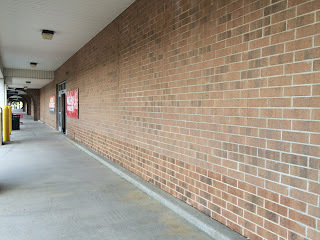 You can see where Acme's windows were replaced by brick. 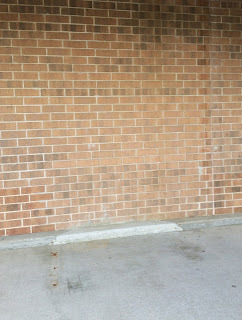 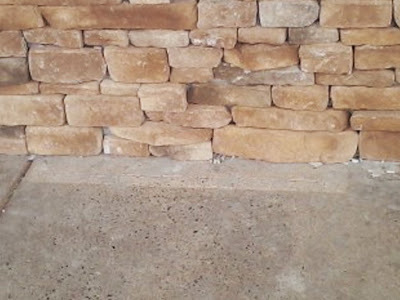 Pretty surprising how well the brick matches from above to below. 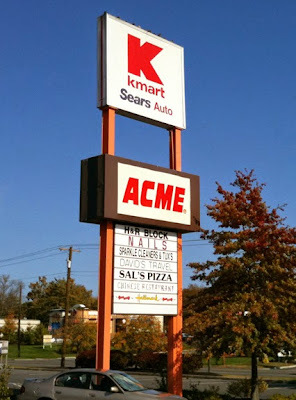 Scars left from Acme's entrance? 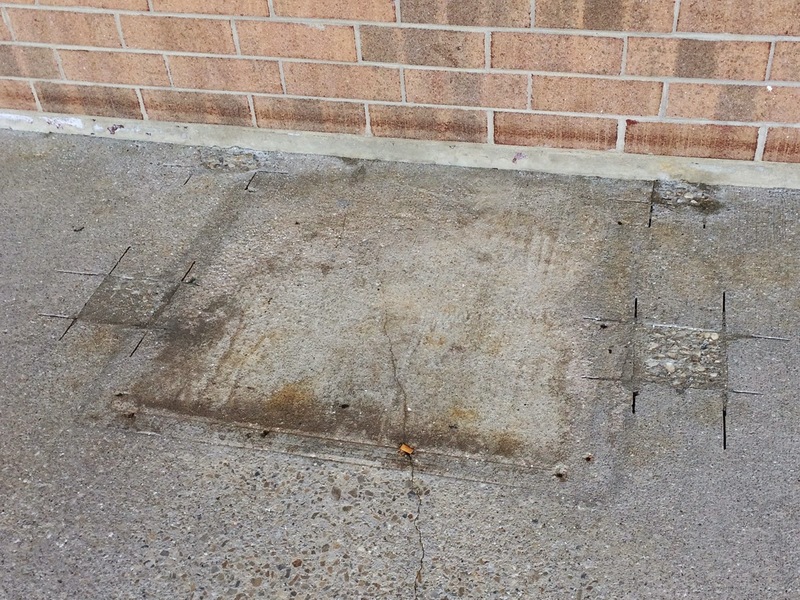 Magic carpet and railings scars here. The 70's Acme all the way to the right and the 90's Acme all the way to the left. 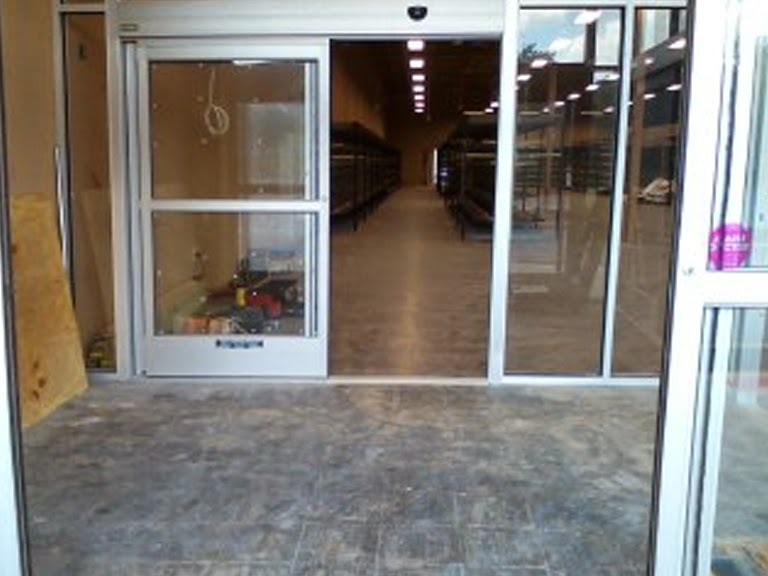 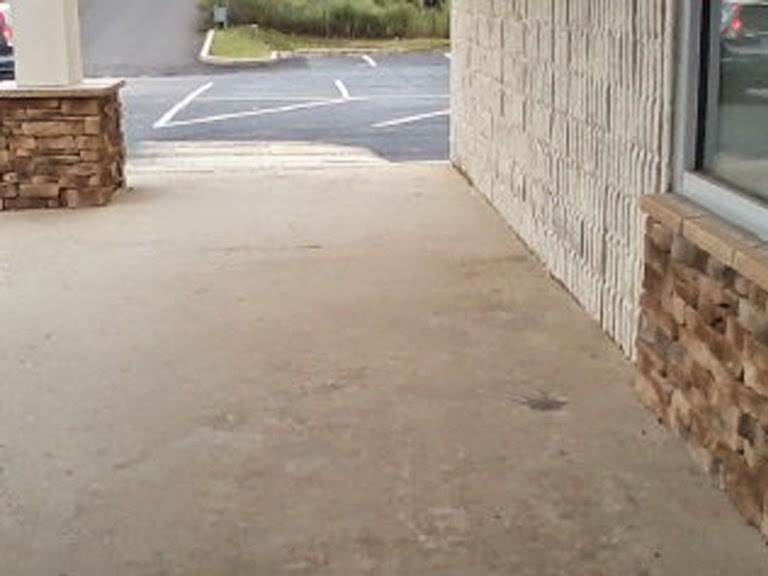 Delivery doors located on the right side rather than at the back of the store. 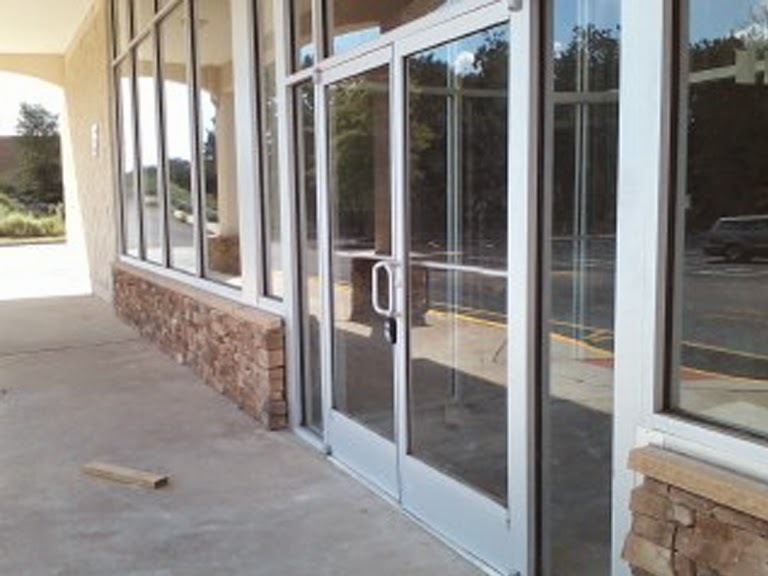 No delivery doors along the back. 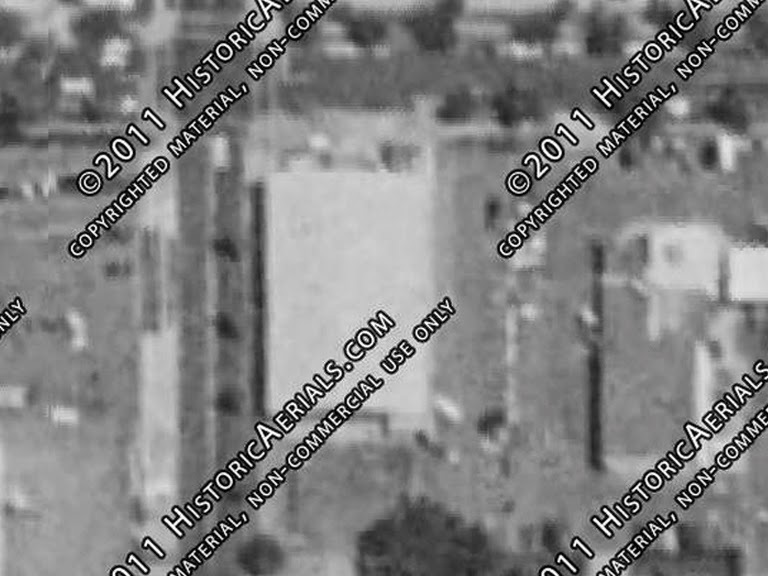 Aerial views of the 70's Acme. 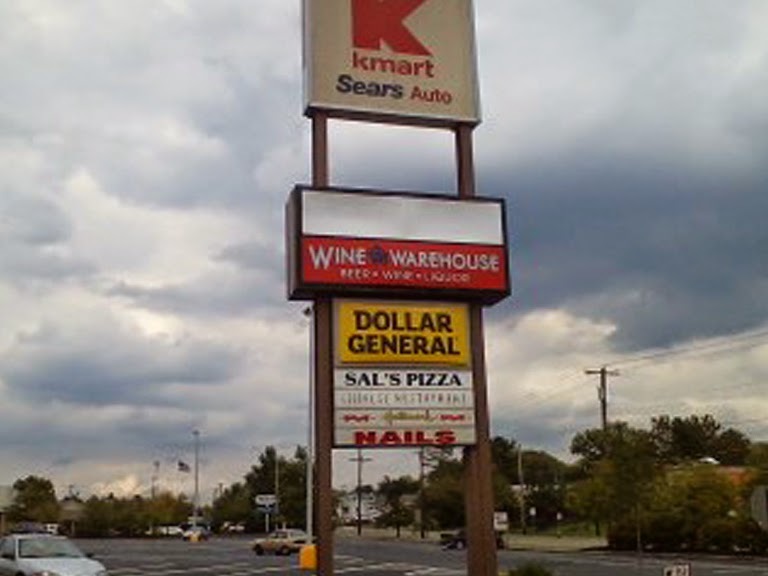 You can see remnants of the sign that used to be on the side of the building. 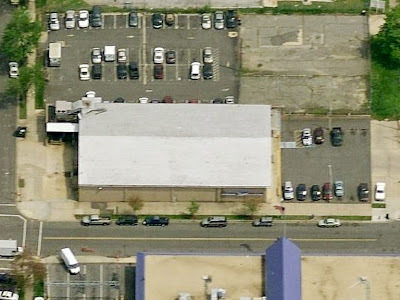 Nearly identical to the one on the Morris Plains building (seen below). 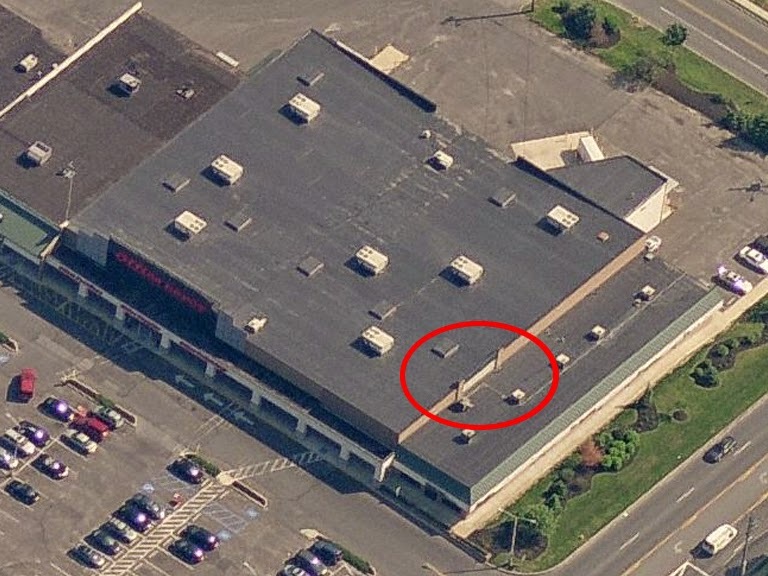 The addition to the right side of the building happened sometime after 1995, most certainly after the Acme jumped to the other end. 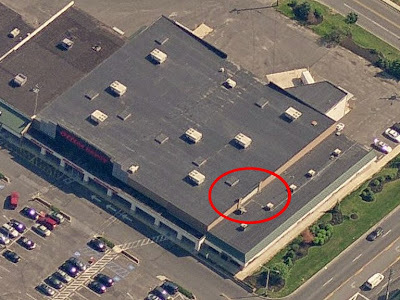 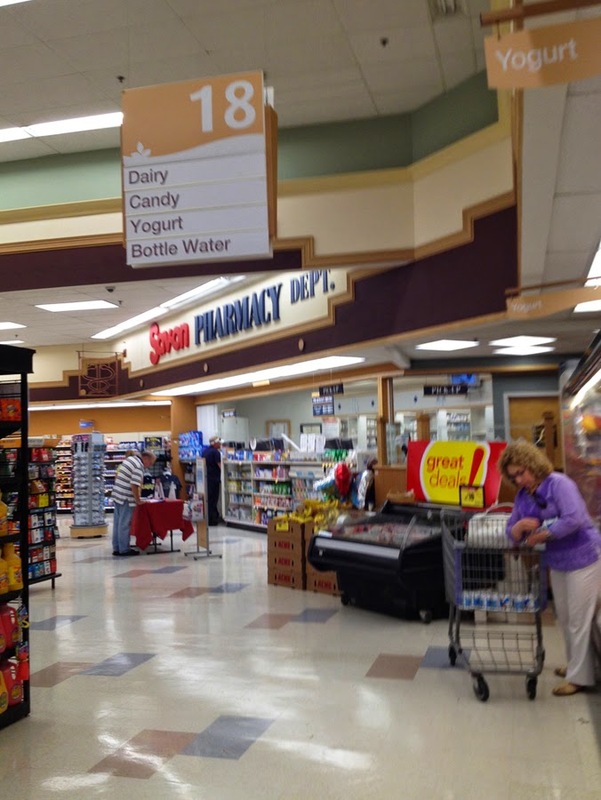 The above image shows the proximity of the ShopRite which is located in the former SuperG/Stop and Shop. 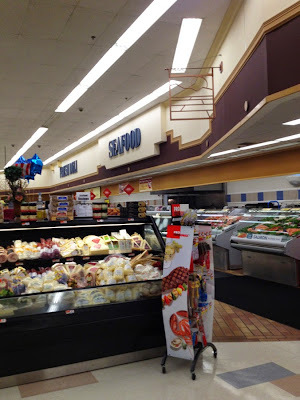 The ShopRite doesn't get much love from yelp reviewers.